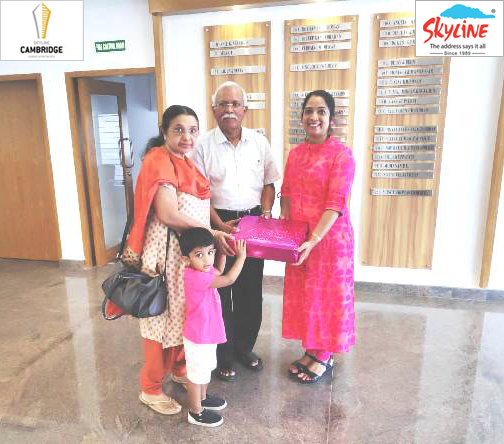 APT # 9 A Brown handed over to Mr. Ramachandran Kamalanathan Nair & Mrs. Lilly Ramachandran. Good Luck and best wishes!!! 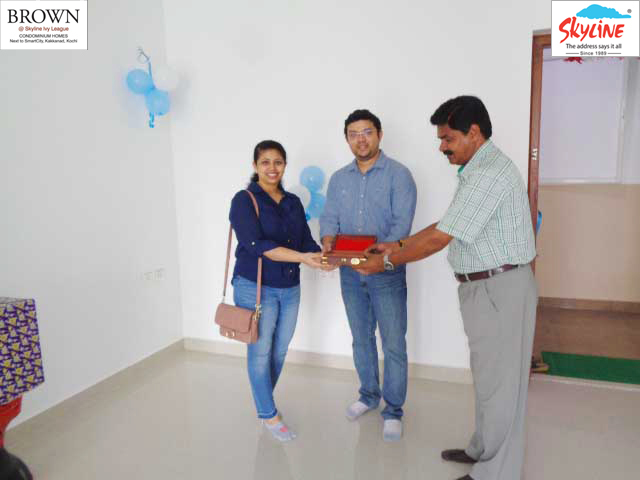 APT # 13 B Brown handed over to Mr. Raphael T. J & Mrs. Reena Varghese. Good Luck and best wishes!!! 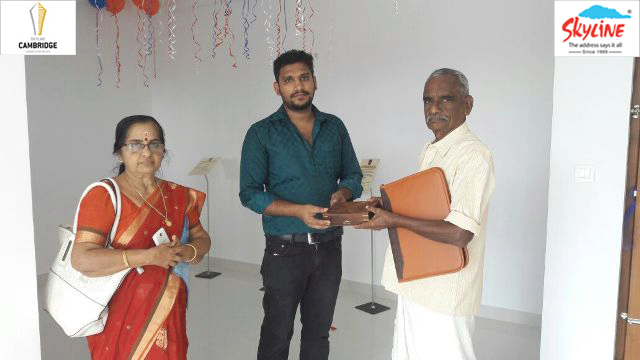 APT # 16 F Brown handed over to Mr. Dennis Jacob & Mrs. Ansu John. Good Luck and best wishes!!! 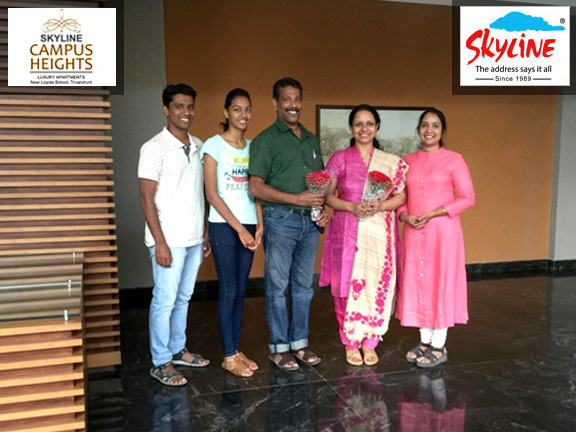 APT # 14 H Brown handed over to Mr. George Joseph & Mrs. Anu Anna Varghese. Good Luck and best wishes!!! 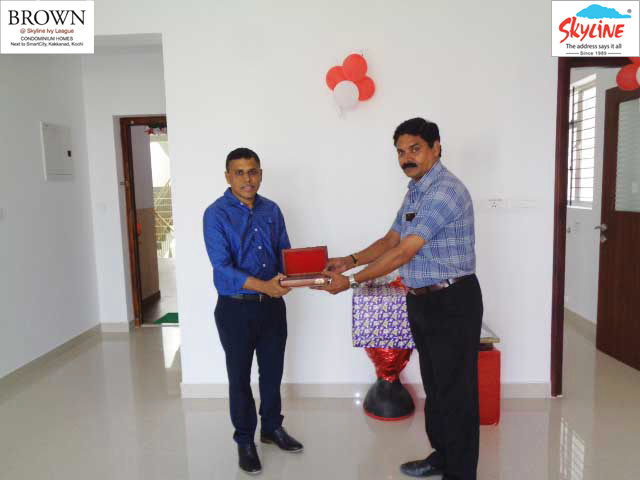 APT # 1 D Spectra handed over to Mr. Reji John Koruth Plamootil . Good Luck and best wishes!!! 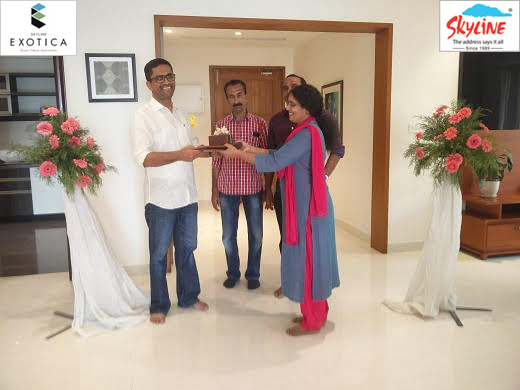 APT # 20 F Brown handed over to Mr. Jayesh Mohandas Nair & Mrs. Dhannya Mohan Nair. Good Luck and best wishes!!! 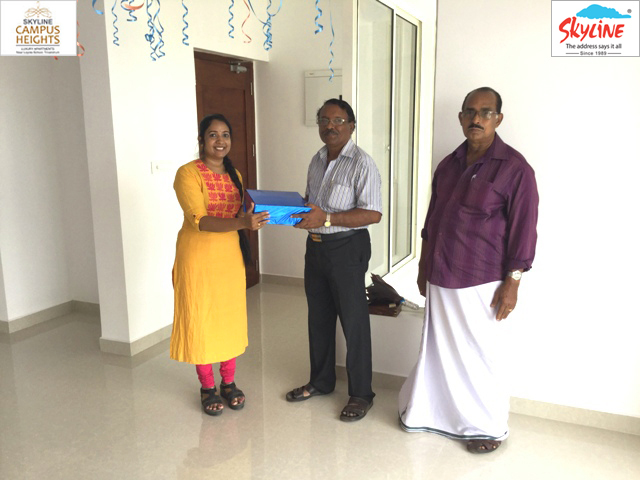 APT # 4 D Spectra handed over to Mrs. Lakshmy. Good Luck and best wishes!!! 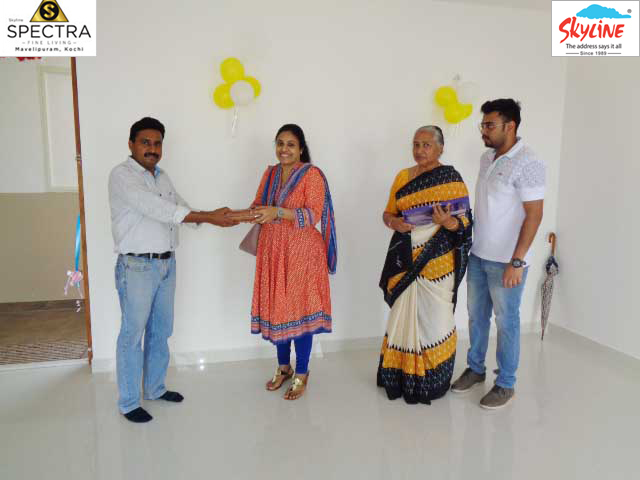 APT # 8 B Spectra handed over to Mrs. Rabeena Faizal. Good Luck and best wishes!!! 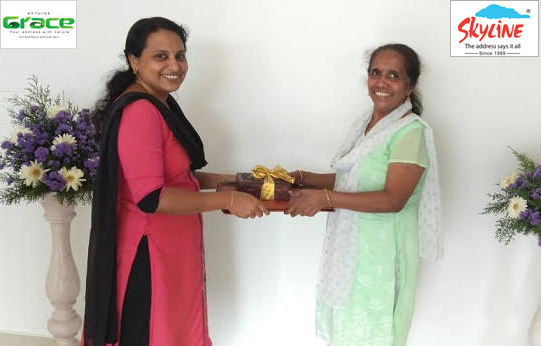 APT # 2 H Brown handed over to Mrs. Laisa Lukose. Good Luck and best wishes!!! 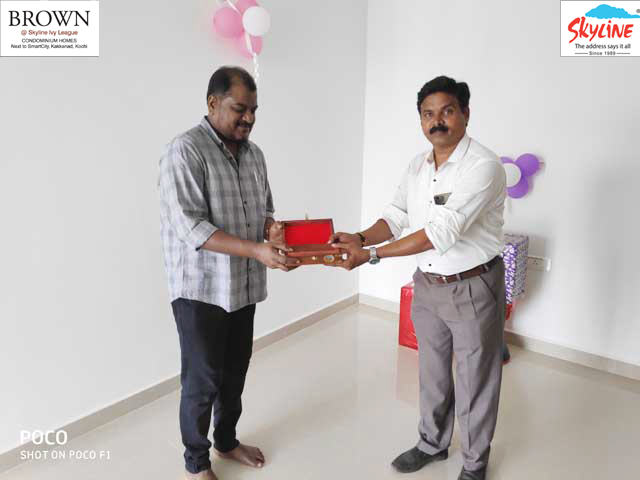 APT # 11 B Brown handed over to Mr. Mathew Daniel. Good Luck and best wishes!!! 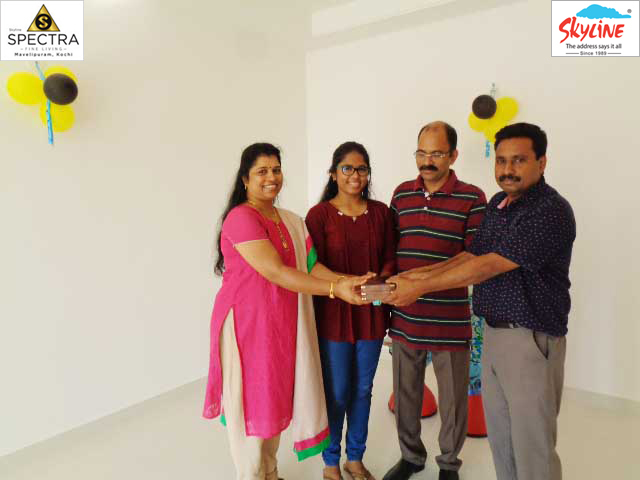 APT # 6 D Spectra handed over to Mrs. Manju Augustine. Good Luck and best wishes!!! 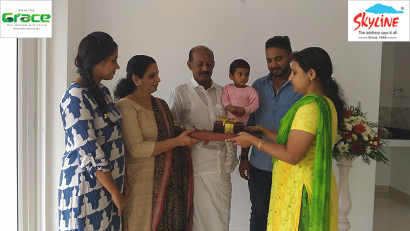 APT # 21 D Brown handed over to Mr. Sooraj Basheer Sophia Kannu & Mrs. Shemim Sooraj Basheer. Good Luck and best wishes!!! 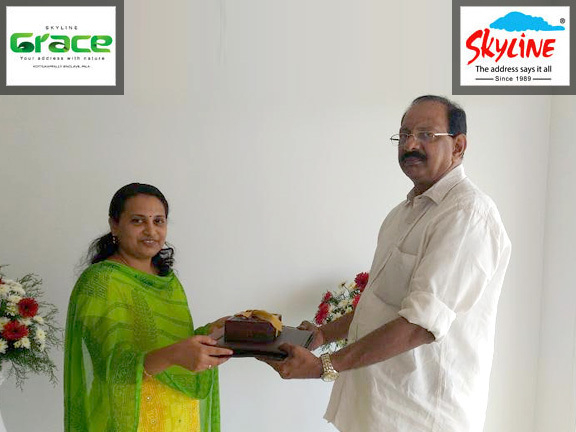 APT # 6 C Spectra handed over to Mrs. Soumya Jose & Mr. Aji Augustine. Good Luck and best wishes!!! 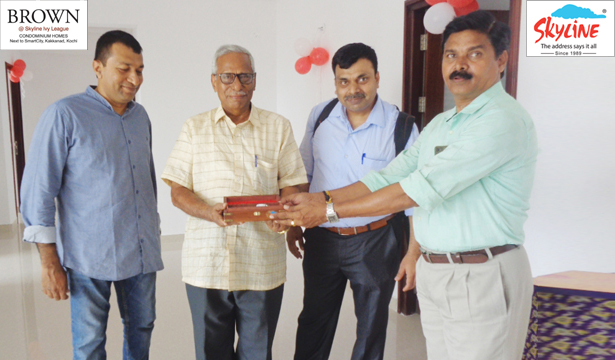 APT # 10 D Edge handed over to Mr. Wilson John & Mr. Cyril Wilson. Good Luck and best wishes!!! 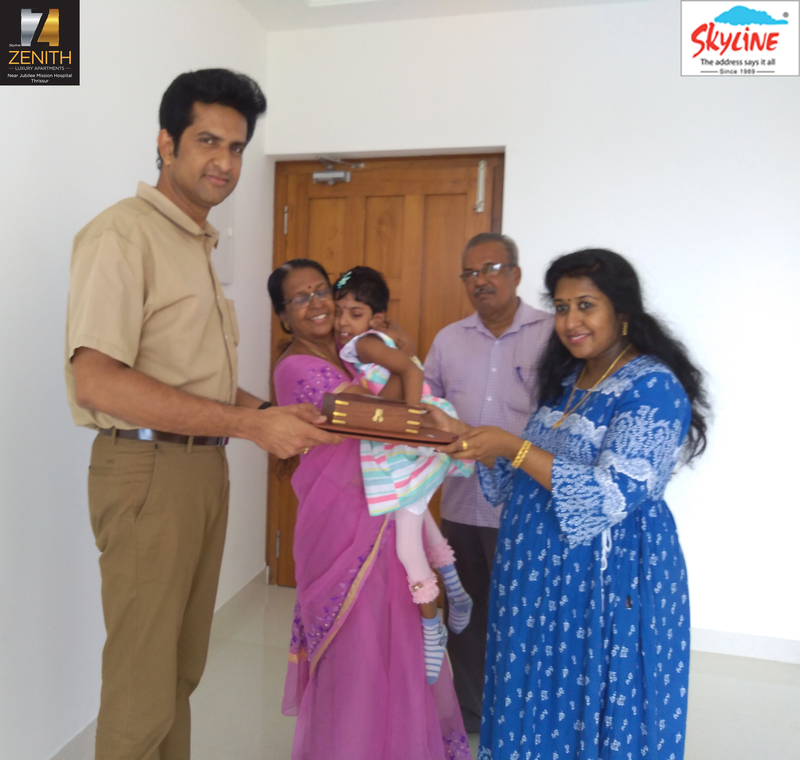 APT # 11 G Brown handed over to Mr. Julius Timmy James & Mrs. Ashy John. Good Luck and best wishes!!! 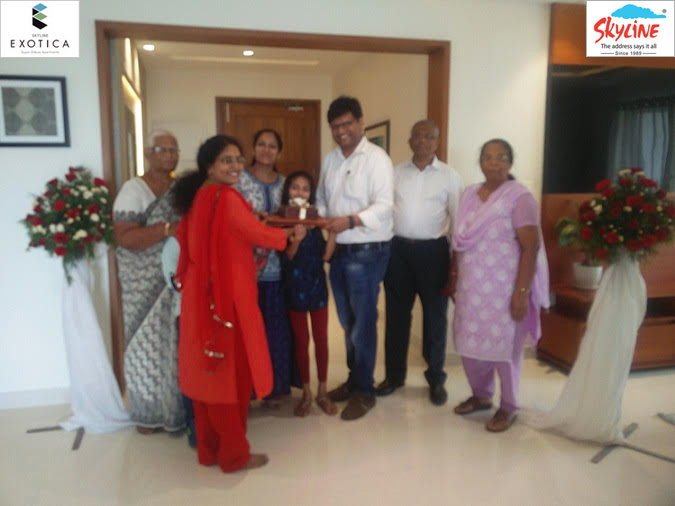 APT # 15 A Edge handed over to Mr. Pramod Koshy Easow& Mrs. Anitha Pramod. Good Luck and best wishes!!! 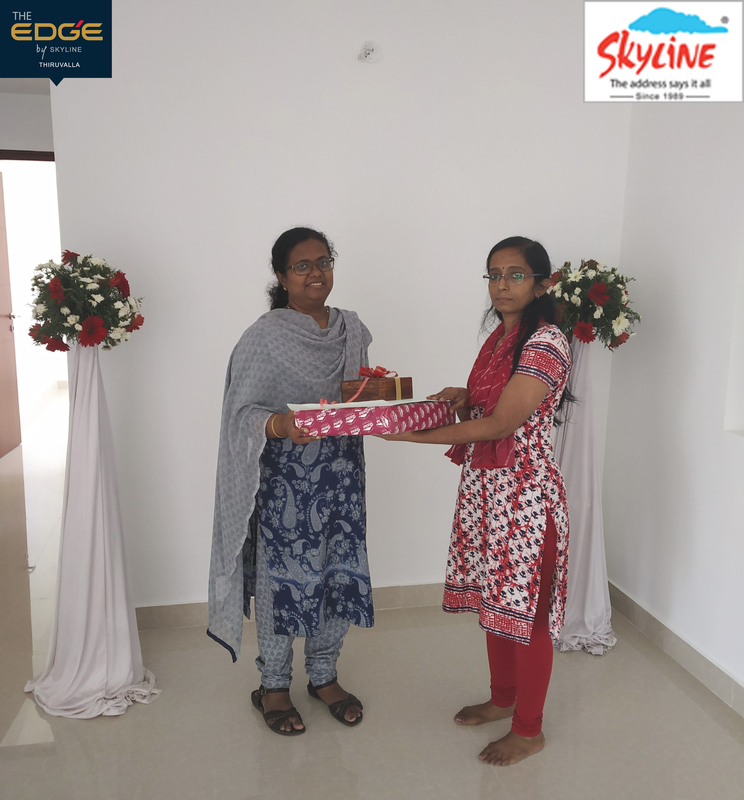 APT # Ground G Edge handed over to Mrs. Rosalie Roy & Ms. Rhea Marian Roy. Good Luck and best wishes!!! 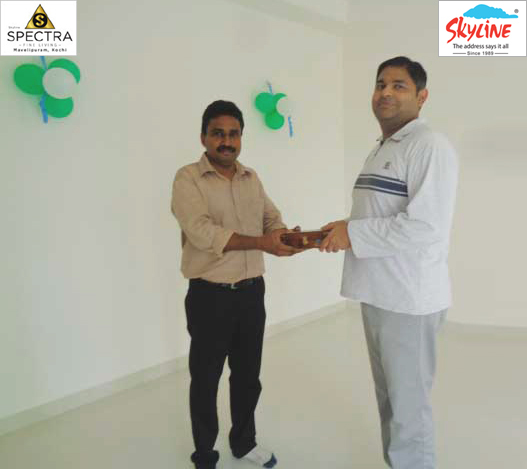 APT # 5 C Edge handed over to Mr. Joseph Varghese. Good Luck and best wishes!!! 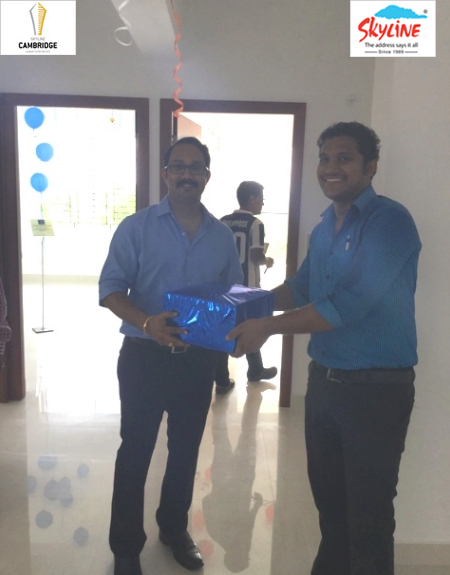 APT # 8 C Edge handed over to Mr. Zachariah Varghese. Good Luck and best wishes!!! 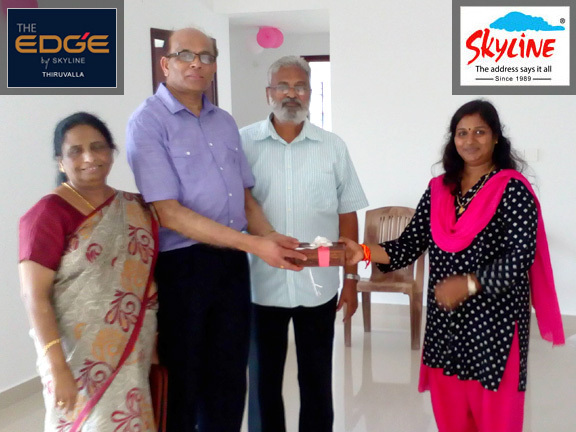 APT # 13 E Edge handed over to Mr. George Koshy & Mrs. Seleena Koshy. Good Luck and best wishes!!! 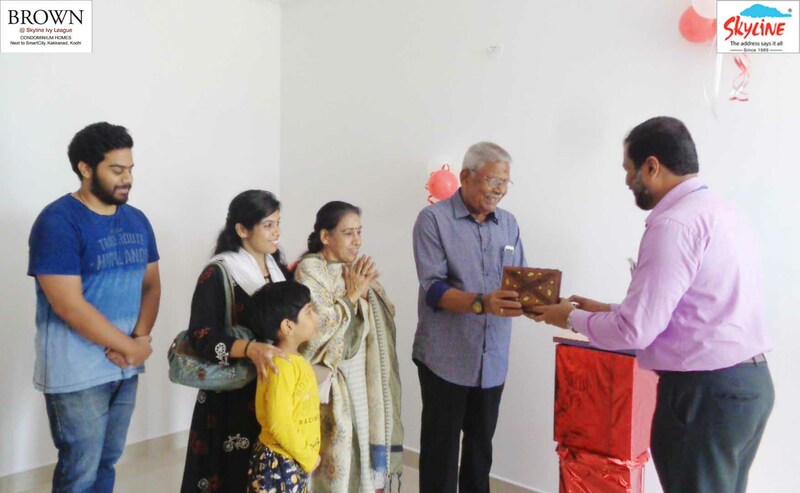 APT # 8 A Brown handed over to Mr. Gigi Abraham & Mrs. Neetha Gigi Abraham. Good Luck and best wishes!!! 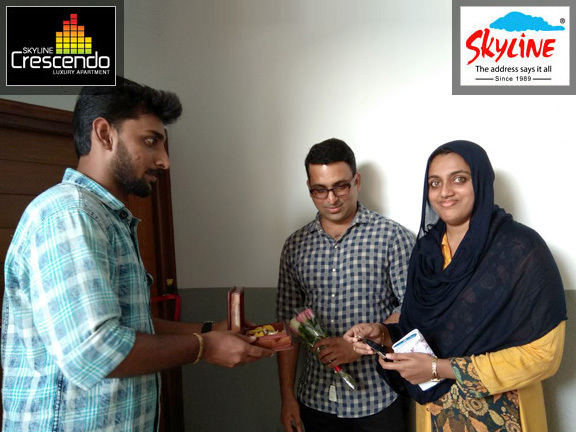 APT # 3 G Brown handed over to Mr. Feroz Abdul Kareem & Mrs. Roshna Feroz . Good Luck and best wishes!!! 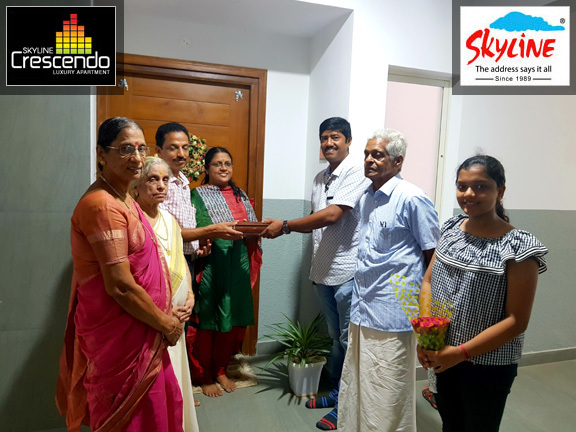 APT # 16 A Spectra handed over to Mrs. Geetha Ramdas Menon. Good Luck and best wishes!!! 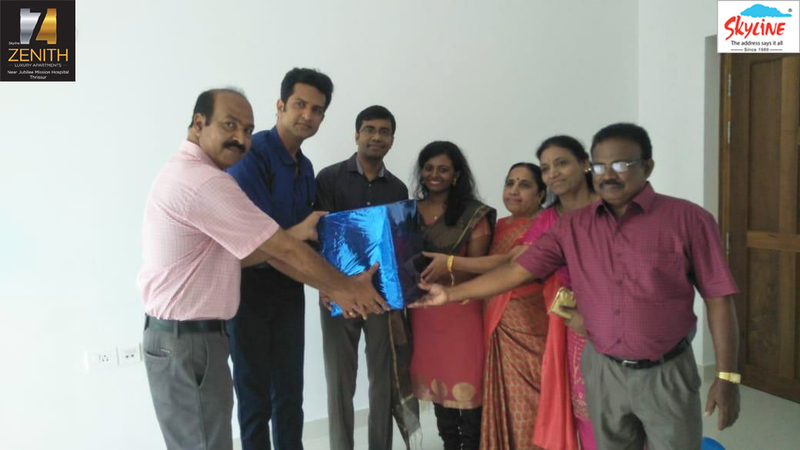 APT # 18 C Spectra handed over to Dr. Sreehari K. Pillai & Dr. Sreekala Sreehari. Good Luck and best wishes!!! 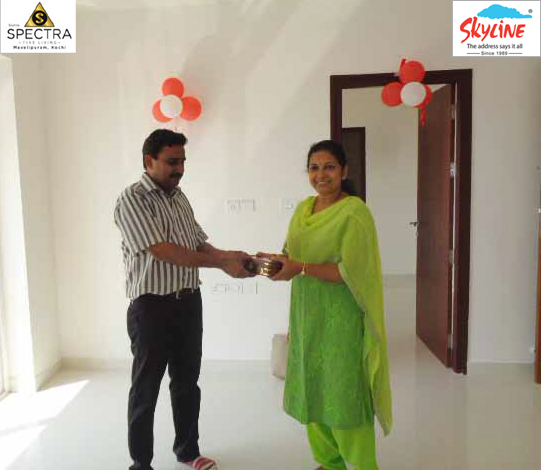 APT # 3 C Spectra handed over to Mrs. Siji Varghese. Good Luck and best wishes!!! 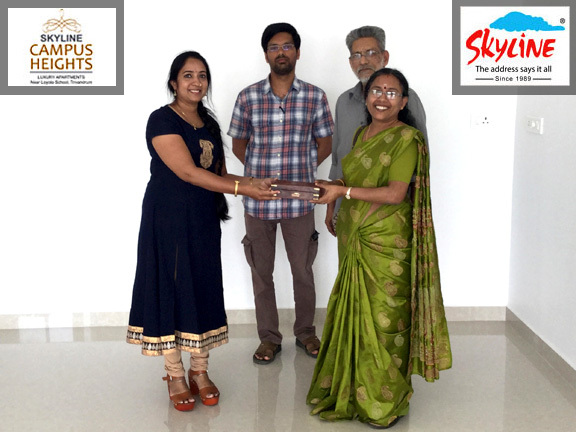 APT # 6 C Zenith handed over to Mrs. Dhanis Nijeesjkumar & Mr. Nijeeshkumar C.S. Good Luck and best wishes!!! APT # 11 B Zenith handed over to Mr. Geo Kedangan and Mrs. Femin Geo. Good Luck and best wishes!!! 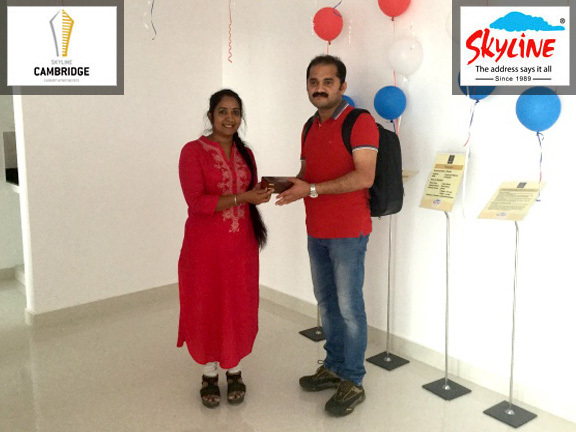 APT # 14 E Edge handed over to Mr. Jacob Mathew. Good Luck and best wishes!!! 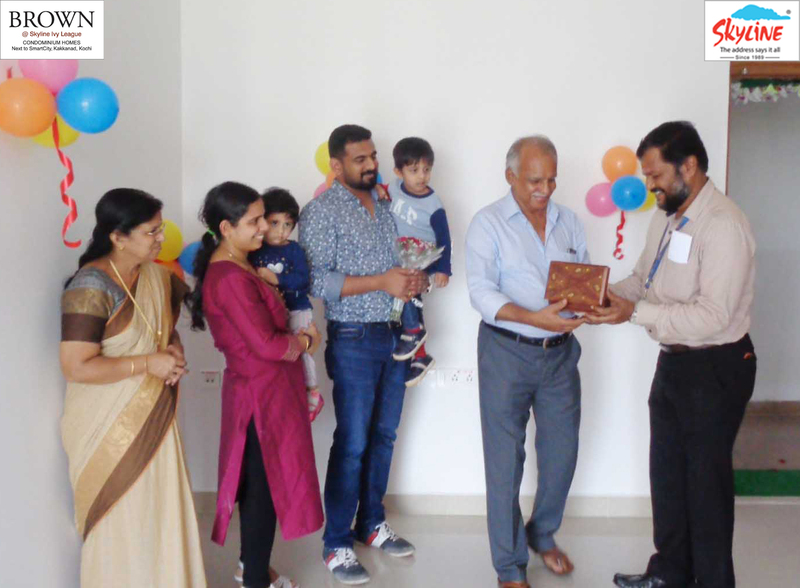 APT # 14 D Spectra handed over to Dr. George Joseph & Dr. Lucy Kurien. Good Luck and best wishes!!! 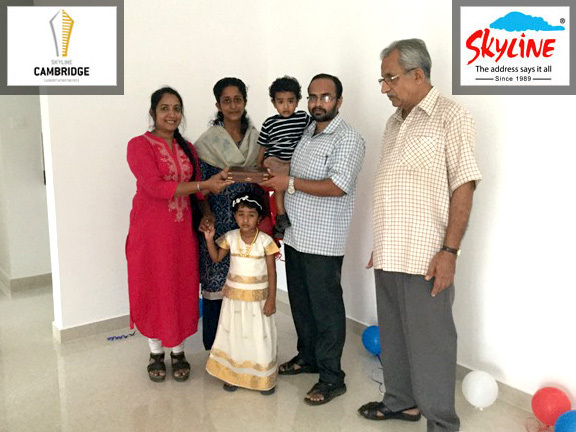 APT # 15 B Brown handed over to Mr. Vineed Sadanandan& Mrs. Shilpa Saseendran. Good Luck and best wishes!!! 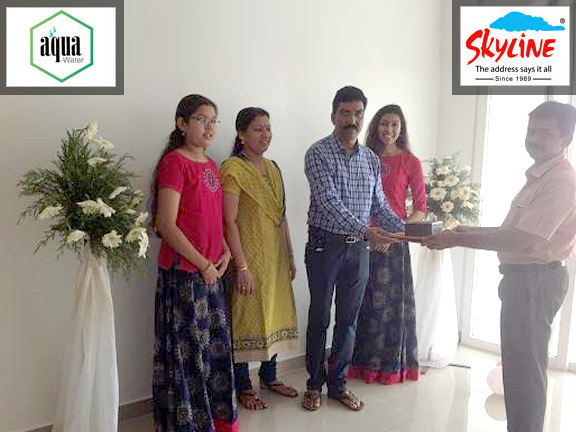 APT #7 A Zenith handed over to Mrs. Surya Ashok & Mr. Bijoy. Good Luck and best wishes!!! 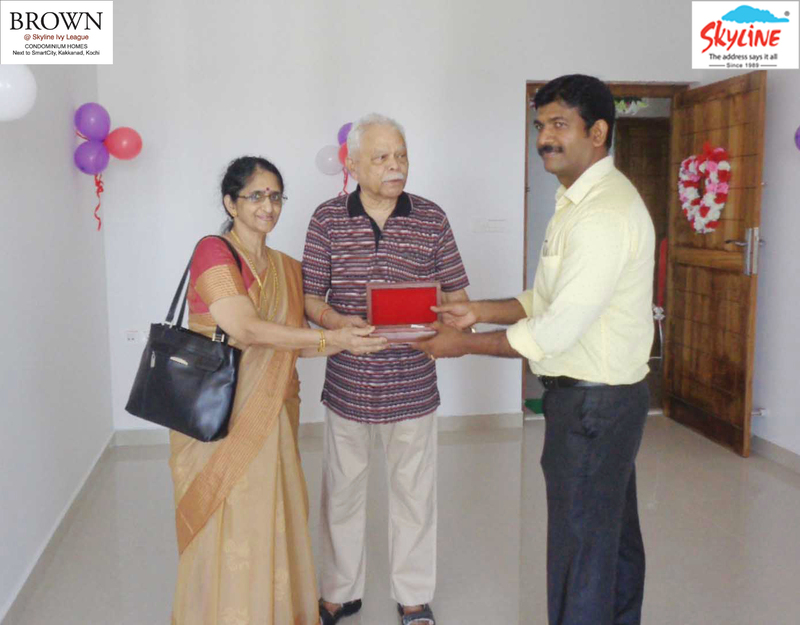 APT #19 A Zenith handed over to Mr. Jayarajan M. P and Mrs. Maya Jayarajan. Good Luck and best wishes!!! 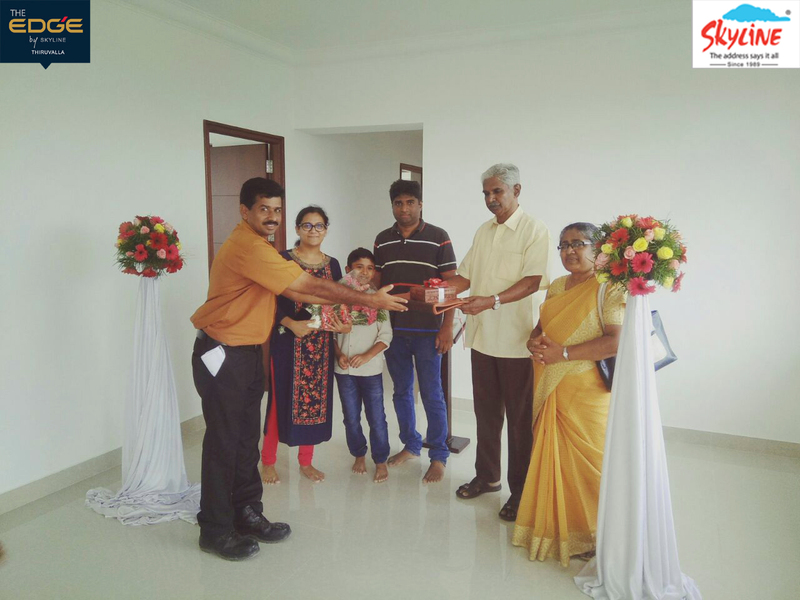 APT # 7D Spectra handed over to Mr. V.K Varghese & Mrs. Geetha Varghese. Good Luck and best wishes!!! 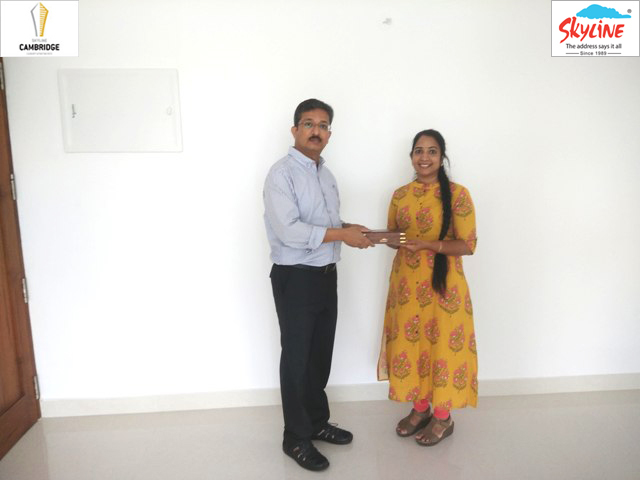 APT #11 D Brown handed over to Dr. Deepa G. Good Luck and best wishes!!! 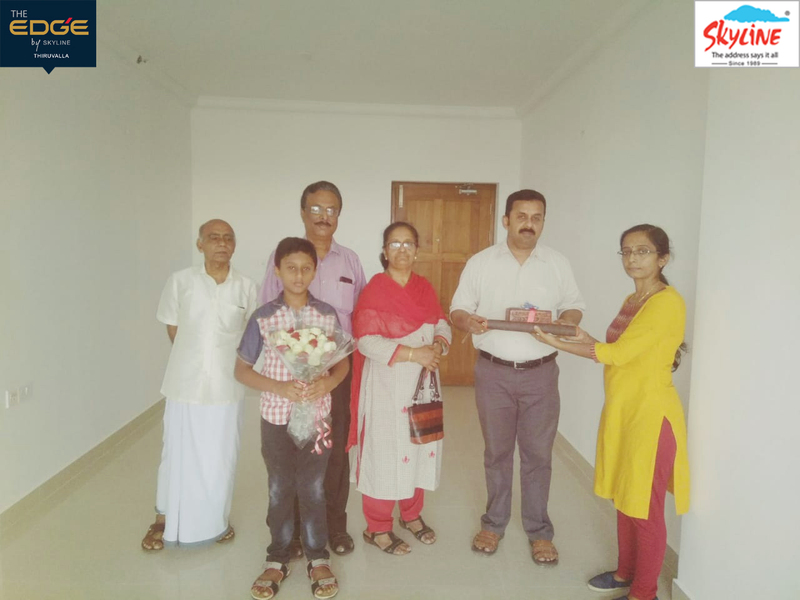 APT #15 F Brown handed over to Mr. Sreeraj P.R & Mrs. Lidia Jose . Good Luck and best wishes!!! 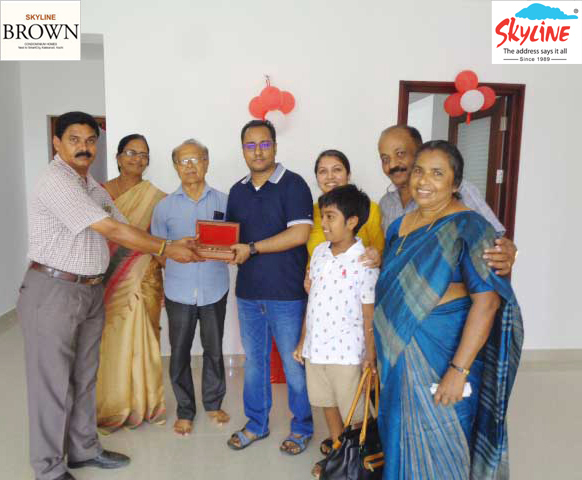 APT #1 F Brown handed over to Mr. Vaishak Jayaraj Pulingom & Mrs. Sajitha Jayaraj Pulingom. Good Luck and best wishes!!! 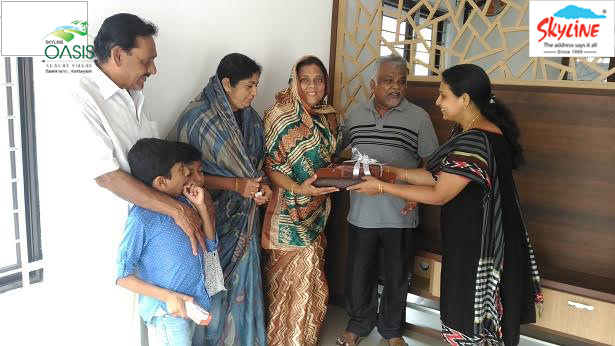 APT #T7 Ranch Villa handed over to Mrs. Preethy Sekhar. Good Luck and best wishes!!! 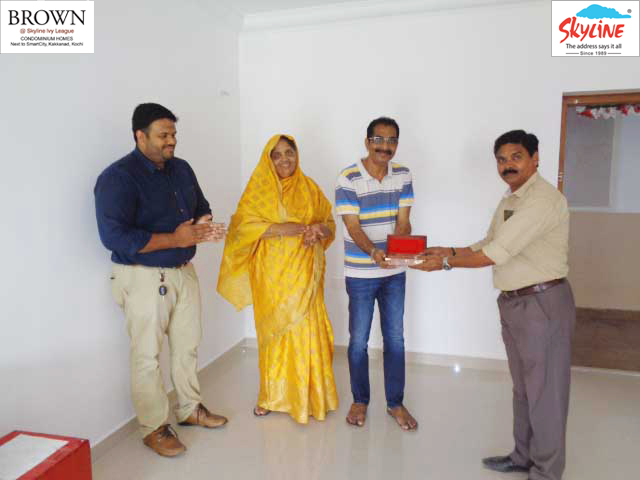 APT #11A Brown handed over to Mrs. Sheeba Sivaraman & Mr. Sanjay George. Good Luck and best wishes!!! 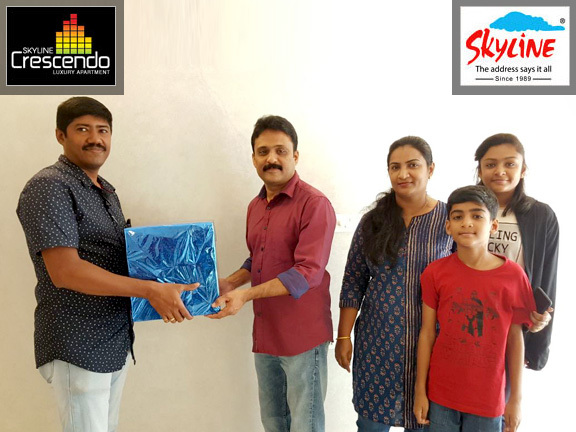 APT # Jade 14D handed over to Mr.Jayajith Pilaka. Good Luck and best wishes!!! 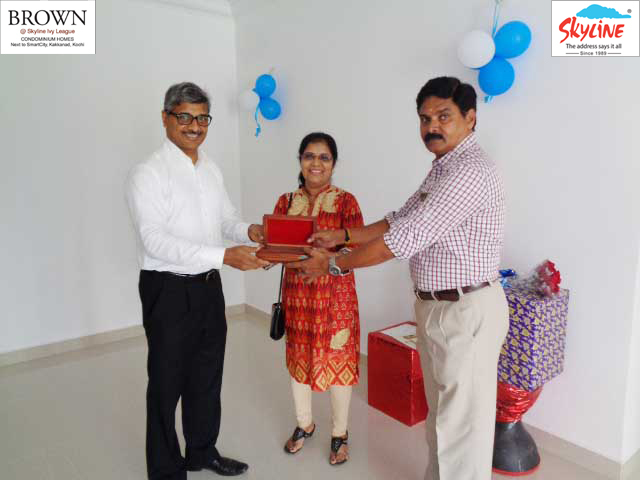 APT # 4B Spectra handed over to Mr.Robin Joy Antony & Mrs. Nimmy Antony. Good Luck and best wishes!!! 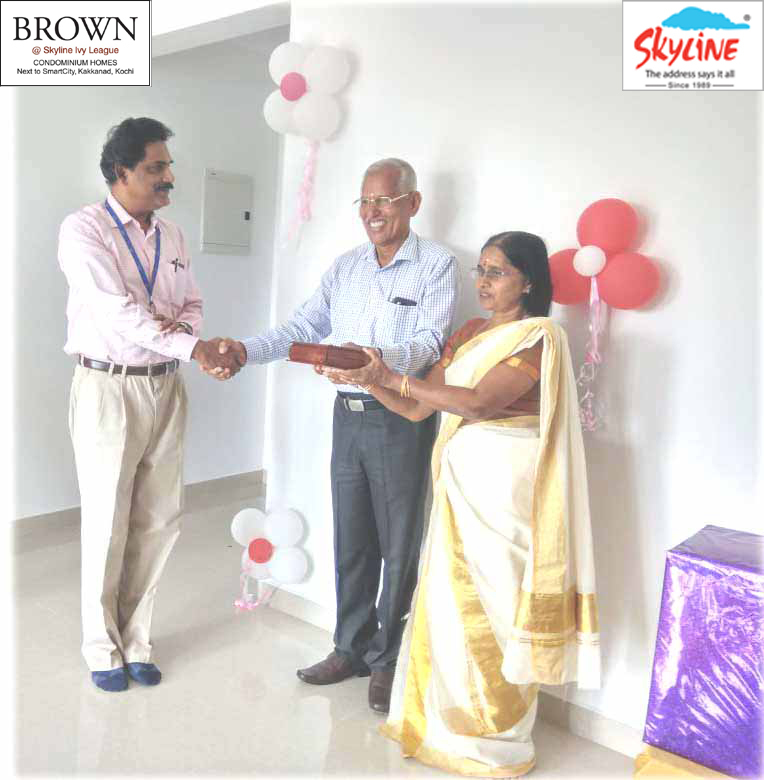 APT # 9F Brown handed over to Mr. Jojan Modiyil Thomas & Mrs. Sherin Annie Mathews. Good Luck and best wishes!!! APT # 16 D Spectra handed over to Mr. Jom Geo. Good Luck and best wishes!!! 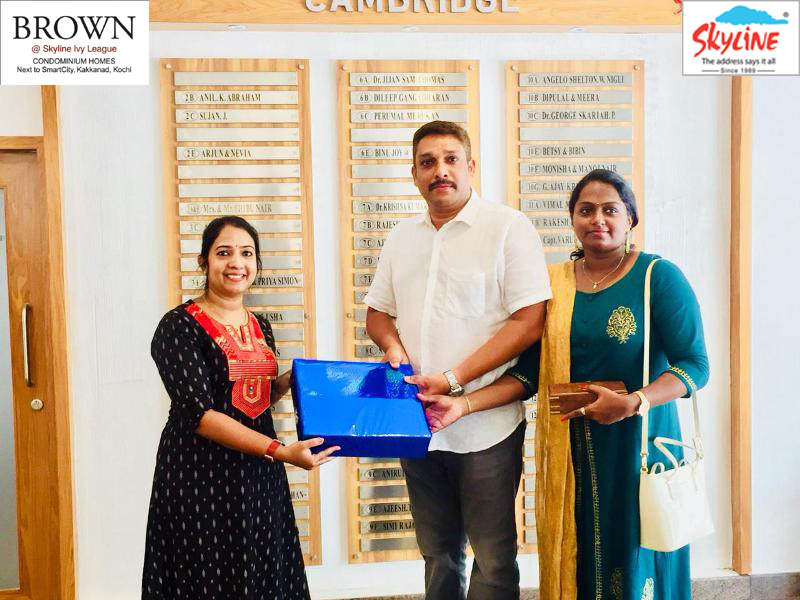 APT # 19 D Brown handed over to Mr. Viji Varkey Keerikkattil. Good Luck and best wishes!!! 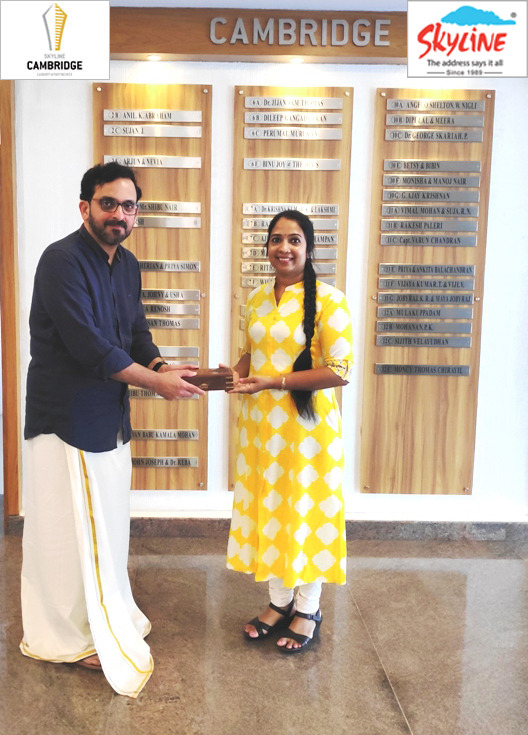 APT # 5 H Brown handed over to Mr. Anish Cherian. Good Luck and best wishes!!! 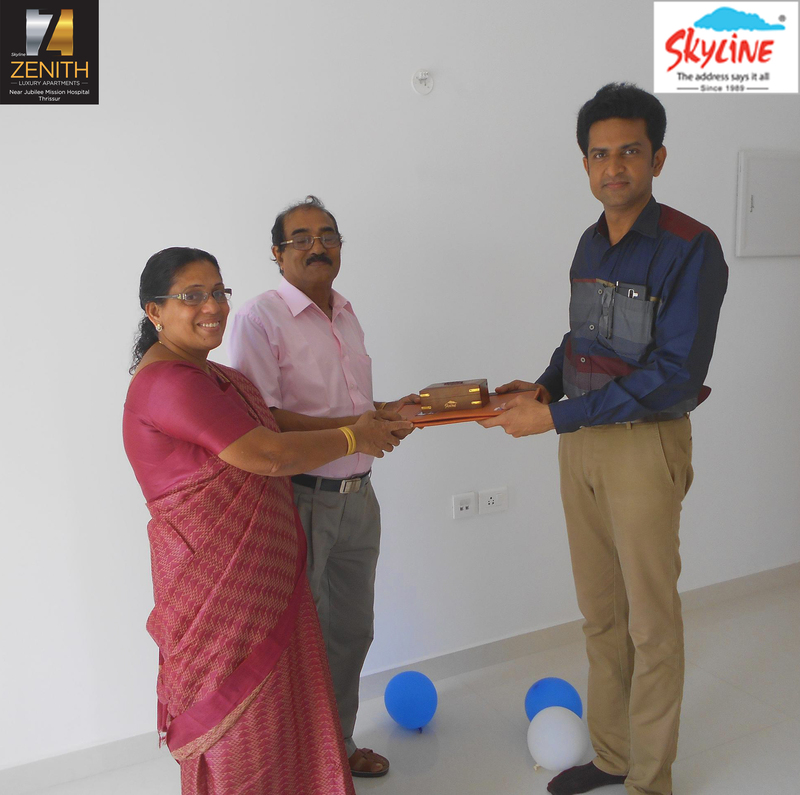 APT # 2C Zenith handed over to Mr.Gentle P George. Good Luck and best wishes!!! 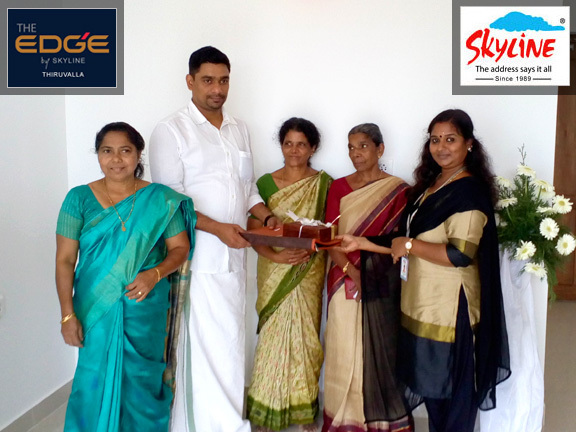 APT # 5 C Spectra handed over to Mr.Polly Varghese & Mrs. Asha Polly. Good Luck and best wishes!!! 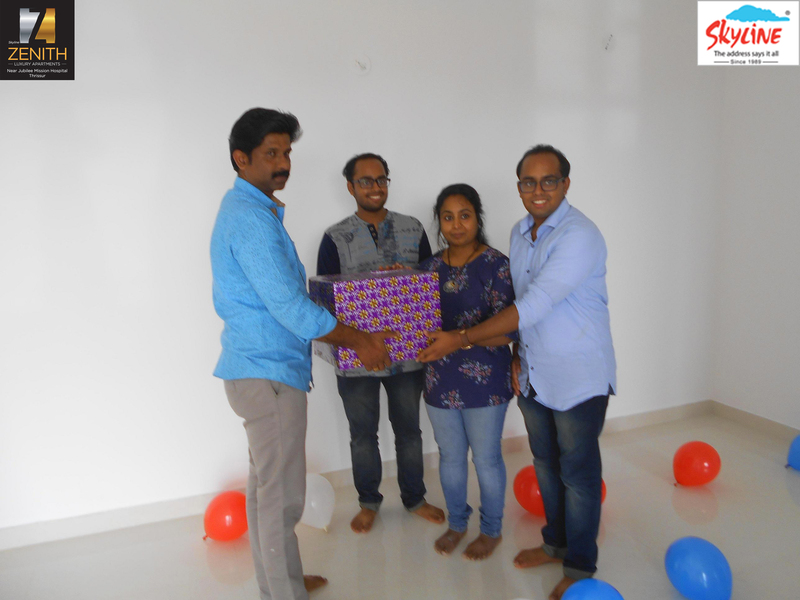 APT # 15 A Brown handed over to Mrs. Unnikrishnan. S & Mrs. E. Usha Nandini. Good Luck and best wishes!!! 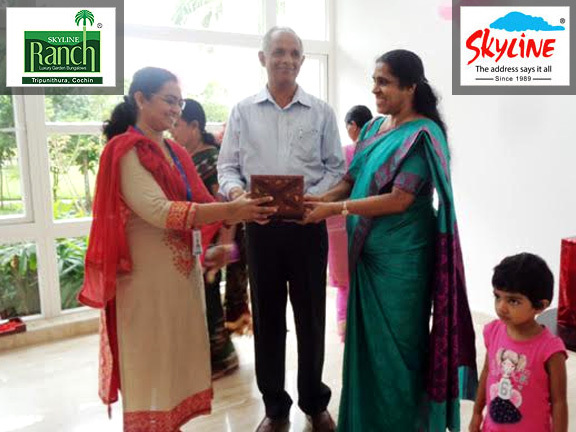 APT # 5 A Brown handed over to Mrs.C.T Shalini. Good Luck and best wishes!!! 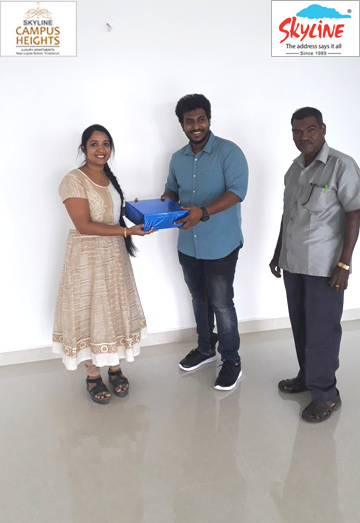 APT # 4 D Brown handed over to Mr.Avinash Mohan & Mrs.Sreekala. Good Luck and best wishes!!! 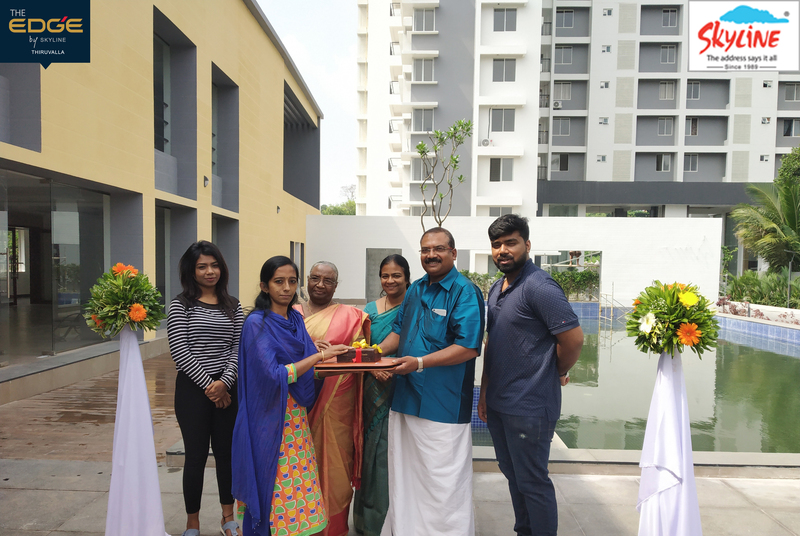 APT # 19B Exotica handed over to V.Abraham & Mrs.Ancy Rajan Abraham. Good Luck and best wishes!!! 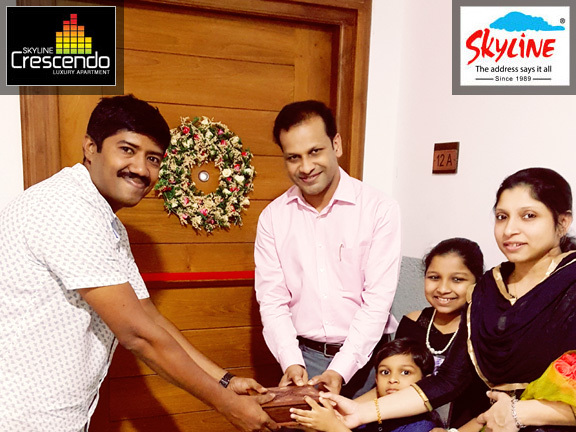 APT # 16B Exotica handed over to Mr. Santhosh Skaria. Good Luck and best wishes!!! 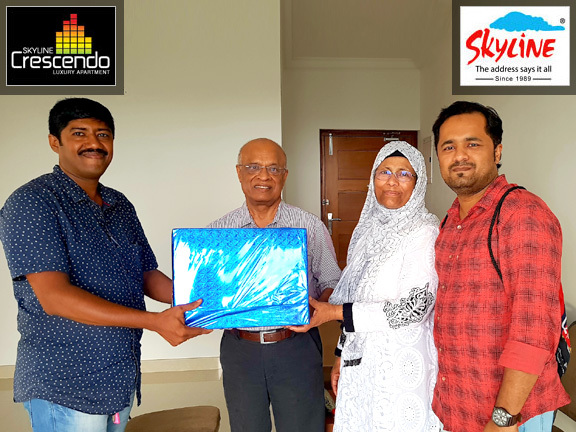 APT # 5 D Spectra handed over to Mr. P. M Sherief & Mrs. A. Jameela Beevi. Good Luck and best wishes!!! 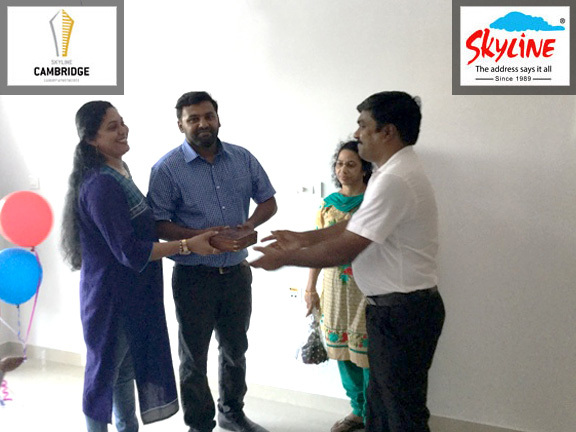 APT # 20 D Brown handed over to Mr. Ashik Mathew Kizhakkepallathu & Mrs. Neenu Varghese. Good Luck and best wishes!!! 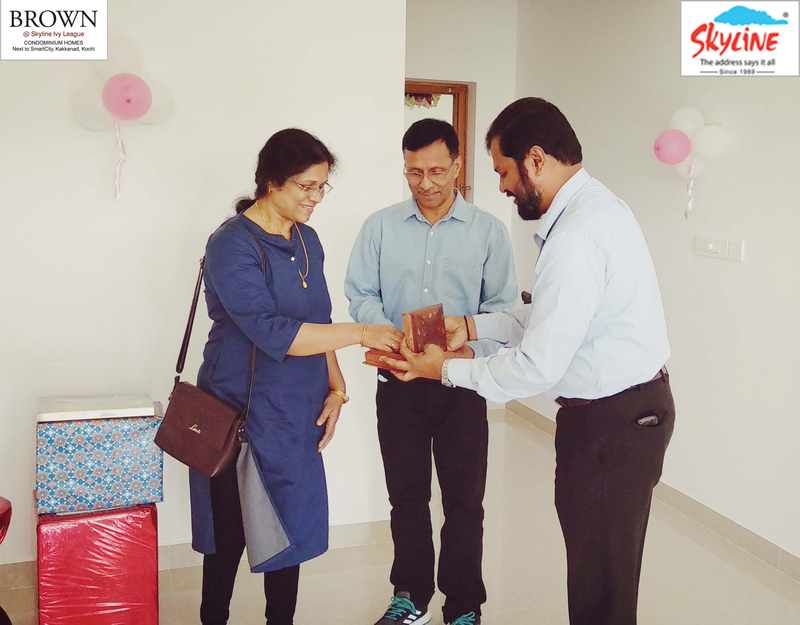 APT # 2 D Spectra handed over to Mrs. Hara Premarajan. Good Luck and best wishes!!! 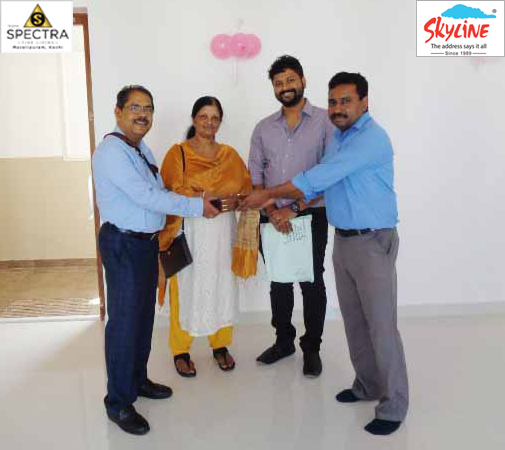 APT # 9B Exotica handed over to Mr. John.P.Abraham & Mrs. Shermi John. Good Luck and best wishes!!! 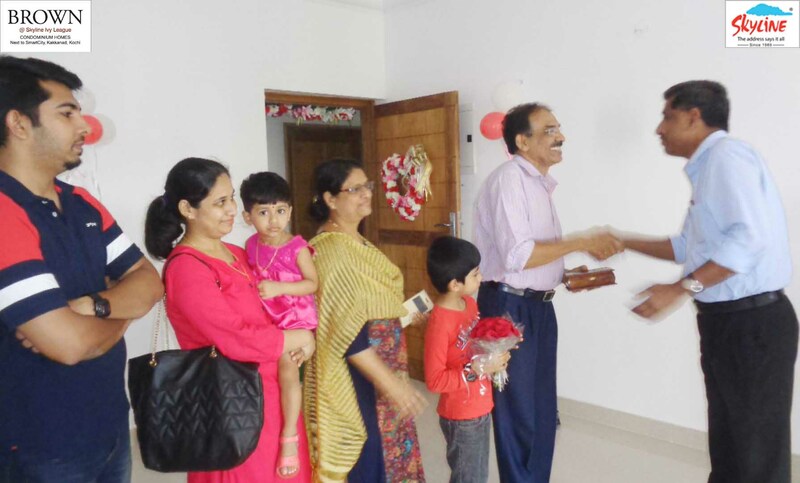 APT # 8 A and B CAMBRIDGE handed over to Dr.Thomas.V.John. Good Luck and best wishes!!! 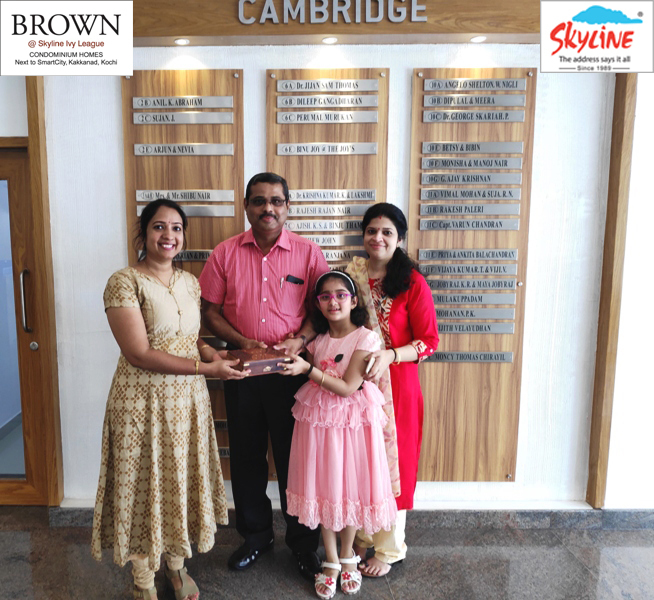 APT # 6 F CAMBRIDGE handed over to Mr.Praveen.S.Dev. Good Luck and best wishes!!! 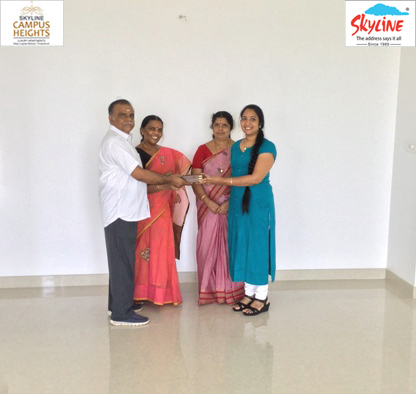 APT # 3 A Brown handed over to Mr. Ranjit Balakrishnan & Mrs. Sreelatha Iyer Balakrishnan. Good Luck and best wishes!!! 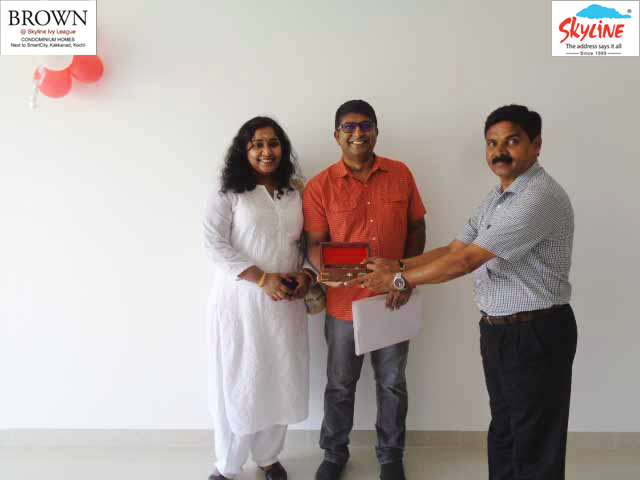 APT # 18 B Brown handed over to Mr. Saju Neelakantan Nair & Mrs. Rasmi Thyparambil Narendran. Good Luck and best wishes!!! 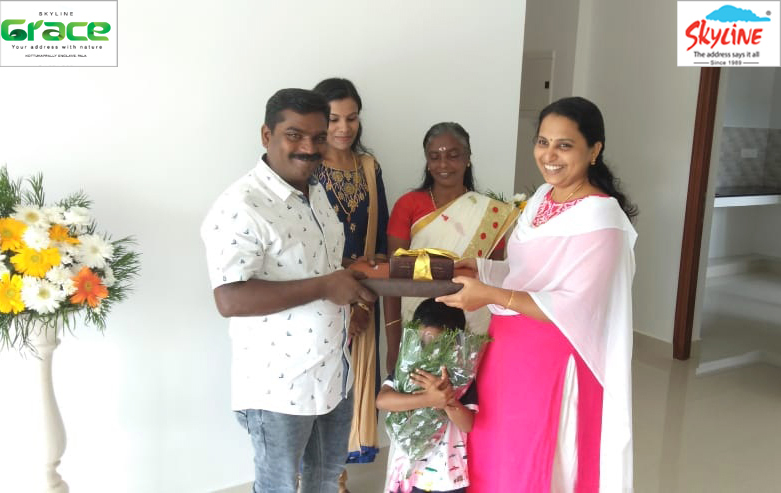 APT # 16 D Brown handed over to Mr. M.P Rajiv & Mrs. Vrijula A.V. Good Luck and best wishes!!! 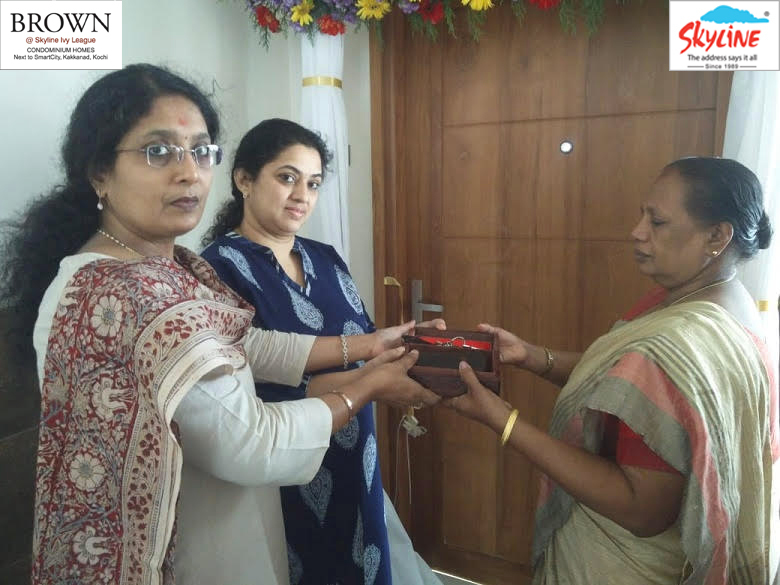 APT # 7 H Brown handed over to Mrs. Nisha Checha Roy. Good Luck and best wishes!!! 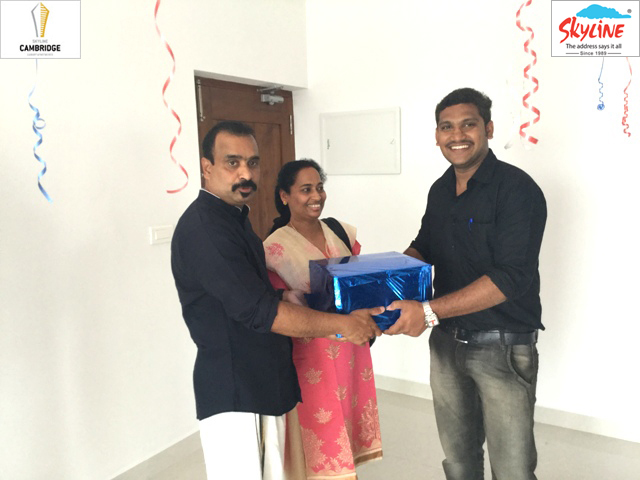 APT # 2 B Grace handed over to Mr.Christin Joseph. Good Luck and best wishes!!! 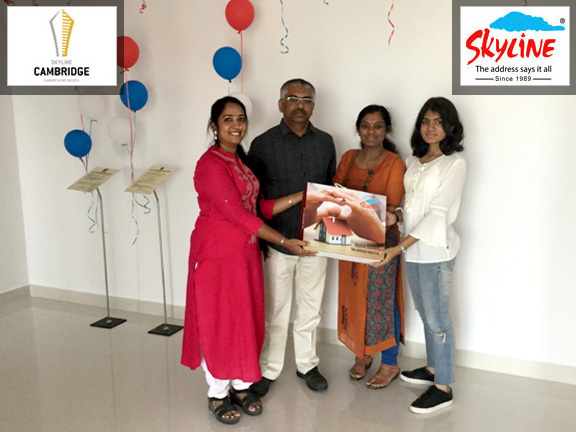 APT # 8 E CAMBRIDGE handed over to Dr.Radhakrishnan.G.Pillai. Good Luck and best wishes!!! 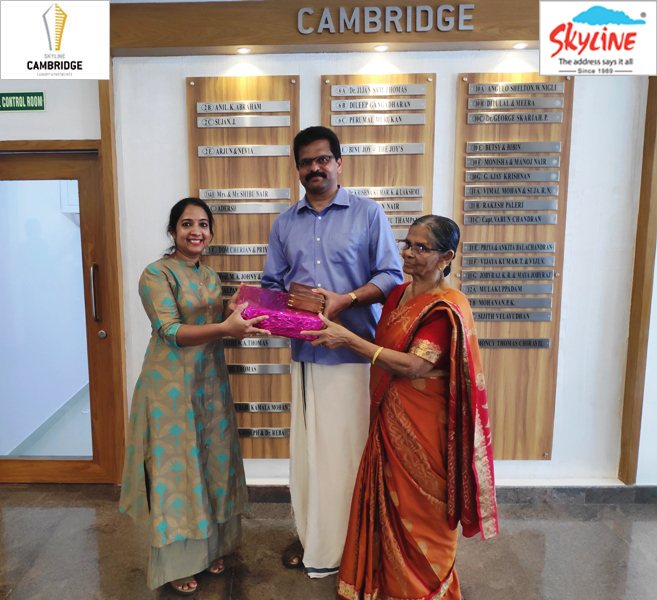 APT # 7A CAMBRIDGE handed over to Dr.Krishnakumar.K. Good Luck and best wishes!!! 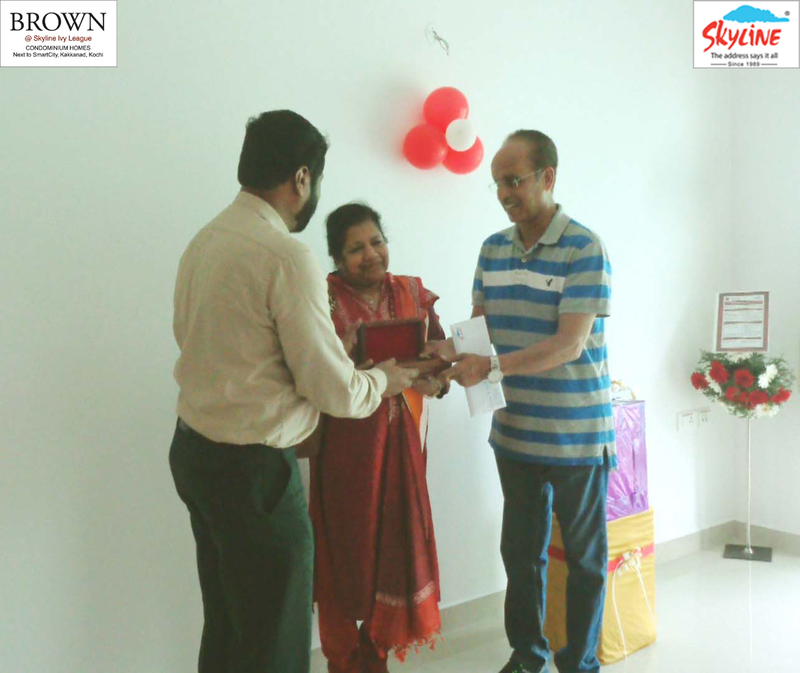 APT # 12 F Brown handed over to Mr. Irfan Habeeb & Mrs. Asmathul Haseena Karim. Good Luck and best wishes!!! 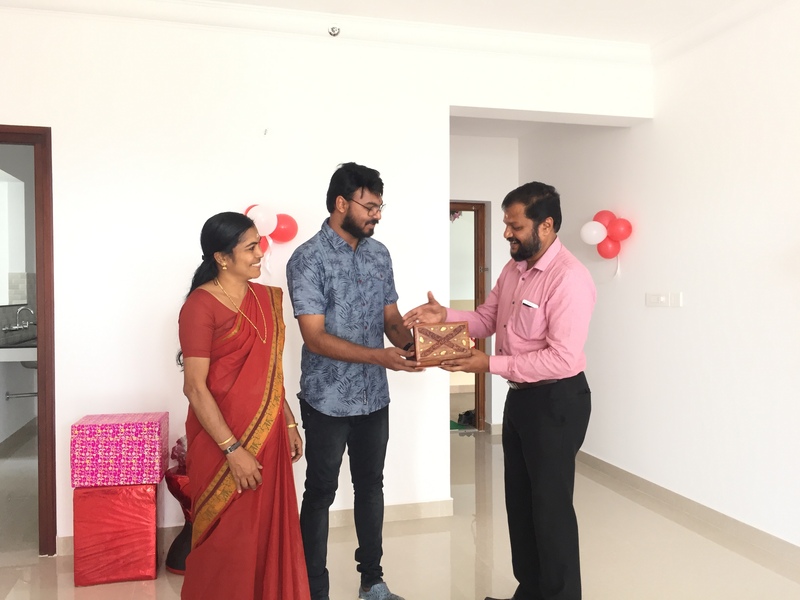 APT # AM 11 Oasis Villa handed over to Mr. Beno James. Good Luck and best wishes!!! 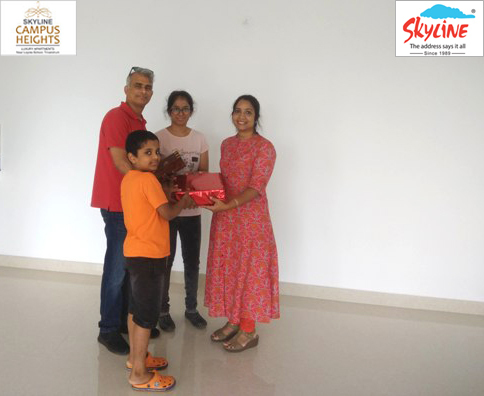 APT # 9D Brown handed over to Mr. Arun Sagar & Mrs. Soumya Madhusoodhanan. Good Luck and best wishes!!! 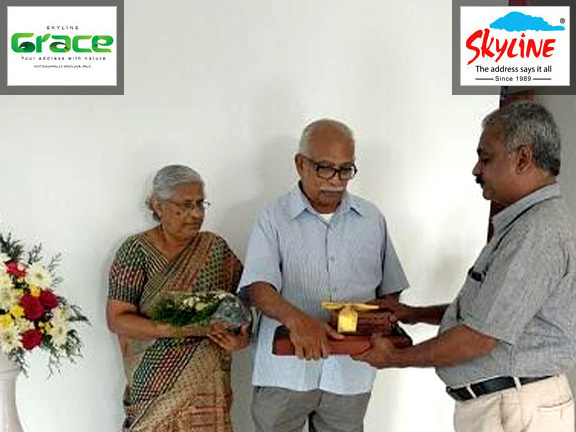 APT # 12E CAMBRIDGE handed over to Mr.Moncy Thomas Chirayil. Good Luck and best wishes!!! 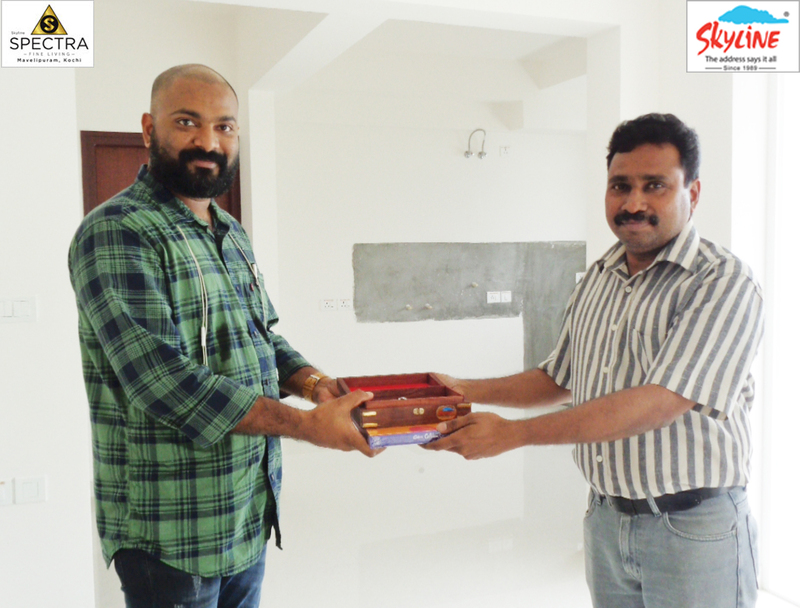 APT # 11H Brown handed over to Mr. Sudish M. Samuel. Good Luck and best wishes!!! 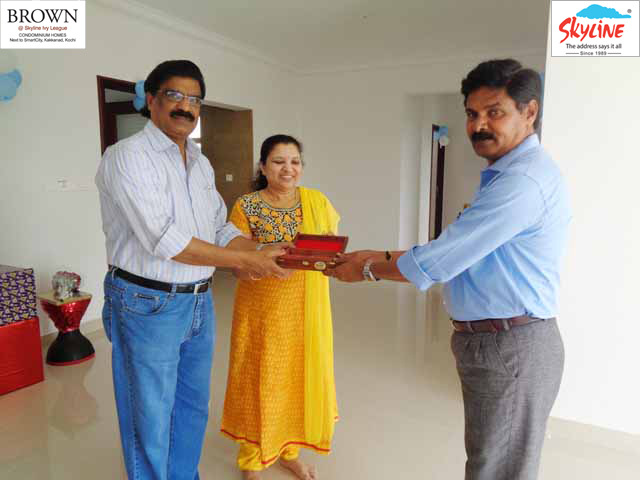 APT # 14 B Exotica handed over to Mr. Thomas Bovee Kuruvilla & Mrs.Mary Thomas. Good Luck and best wishes!!! 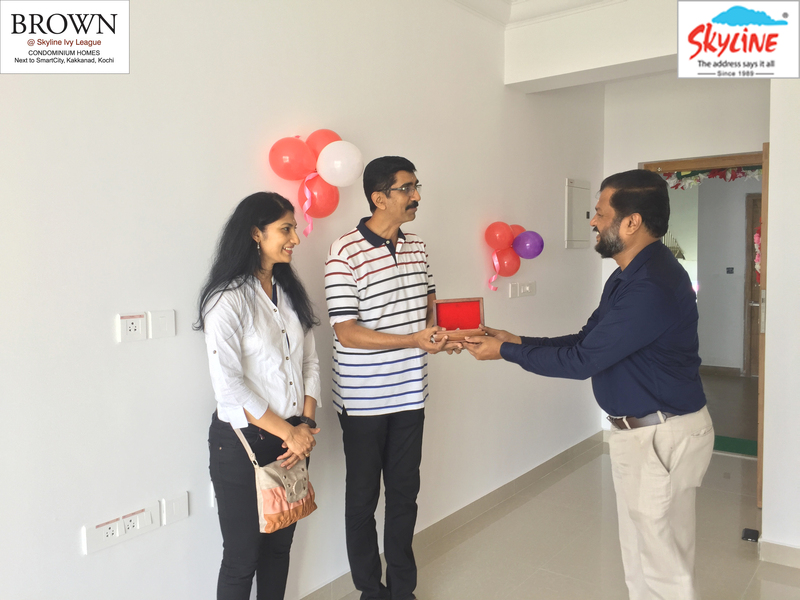 APT # 8B Brown handed over to Mr. Saji Mathew & Mrs. Leenamol Mathew. Good Luck and best wishes!!! APT # 7G Brown handed over to Mrs. Stella PV Thomas Palamootil. Good Luck and best wishes!!! 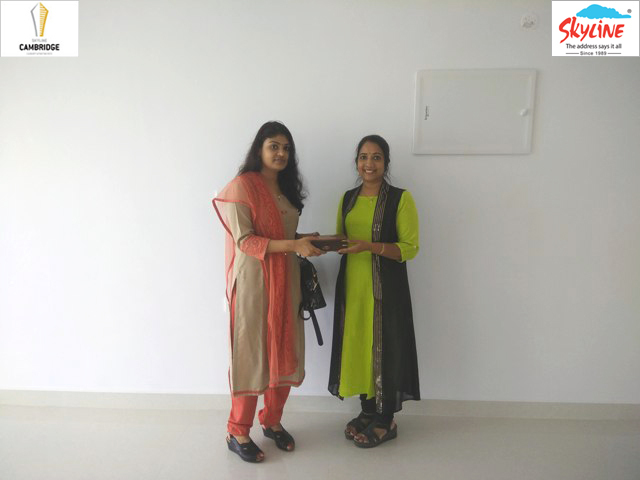 APT # 13C Grace handed over to Mrs.Lekha Das. Good Luck and best wishes!!! 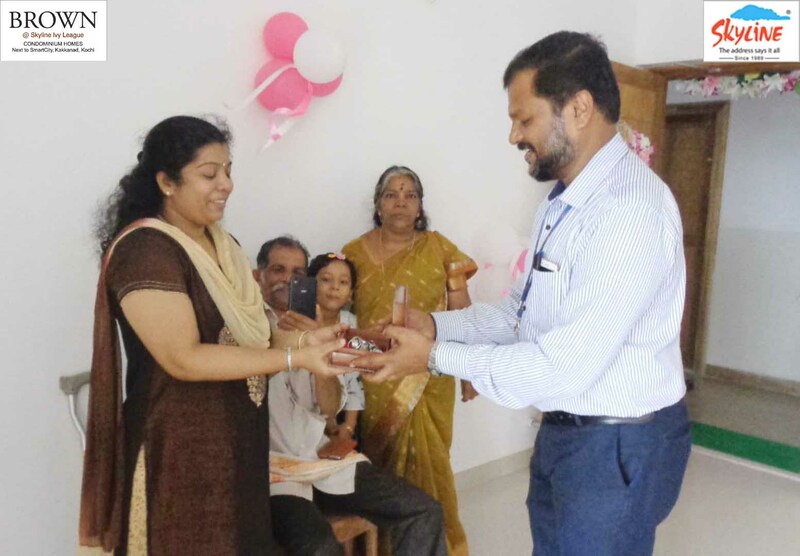 APT # 16 A Brown handed over to Dr. Ranikutty Joseph Palackal Schmenger. Good Luck and best wishes!!! 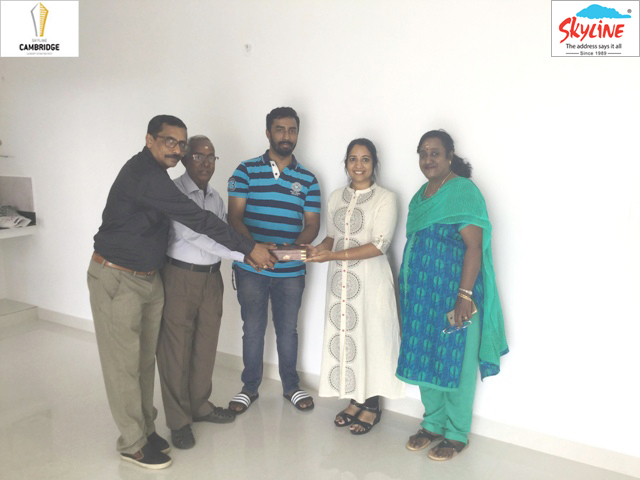 APT # 6 F Brown handed over to Mr. Chacko Jacob & Mrs. Amita Thomas. Good Luck and best wishes!!! 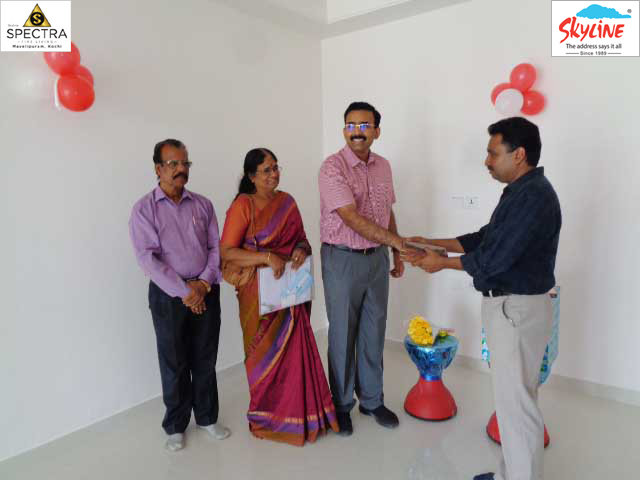 APT # 12C CAMBRIDGE handed over to Mr. Sijithkumar. Good Luck and best wishes!!! 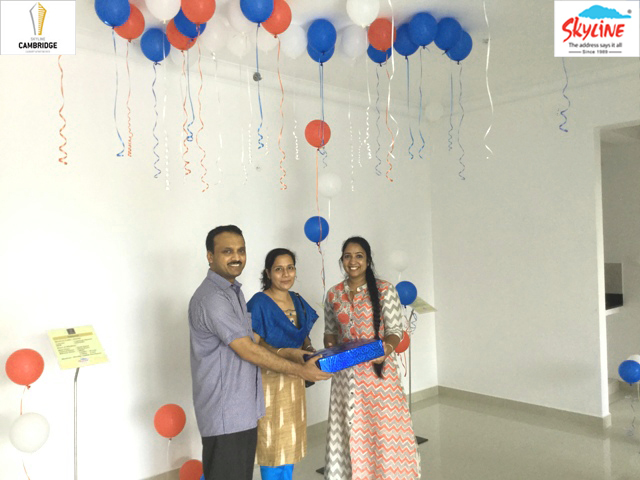 APT # 18B Exotica handed over to Mr.Saji Thomas & Mrs.Elma Thomas. Good Luck and best wishes!!! 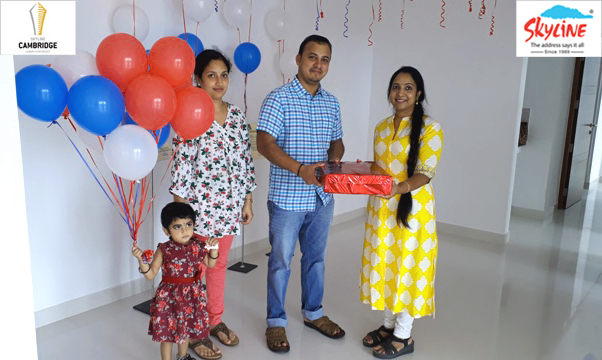 APT # 5B Exotica handed over to Mr.Anoop Jacob.K.Mathew & Mrs.Jisha Ann Mathew. Good Luck and best wishes!!! APT # 11G CAMBRIDGE handed over to Mr. Jobyraj.K.R. Good Luck and best wishes!!! 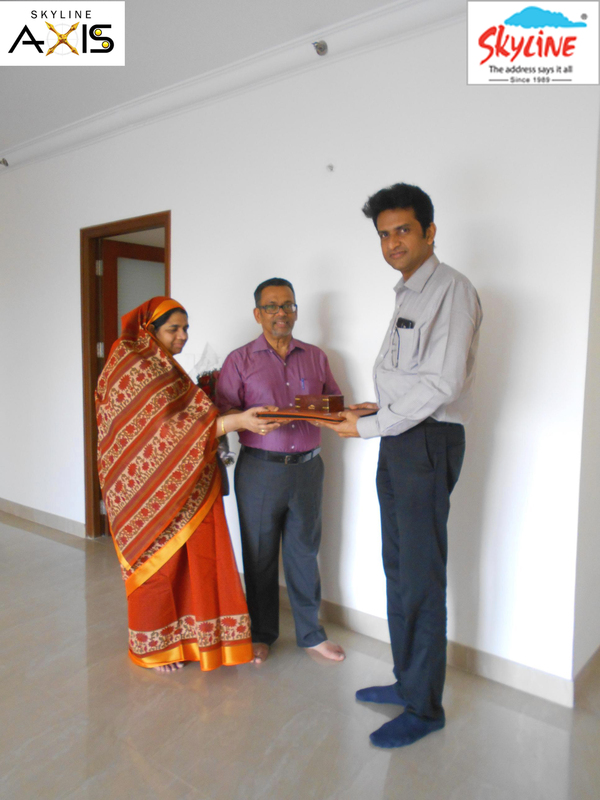 APT # 4A CAMBRIDGE handed over to Mr.M.A.Johny . Good Luck and best wishes!!! 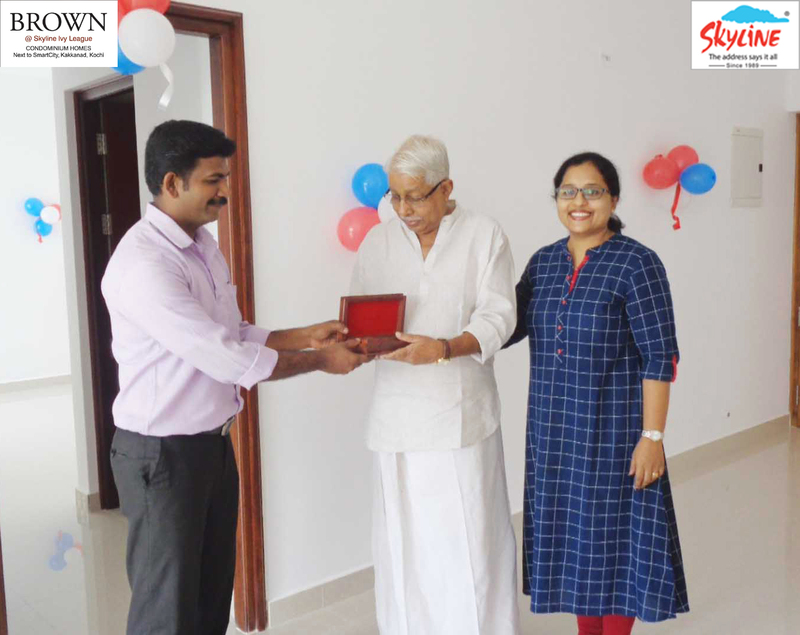 APT # 14 A Brown handed over to Dr. K. Gopinathan Nair. Good Luck and best wishes!!! APT # 1B Brown handed over to Mrs. Hanna. Good Luck and best wishes!!! 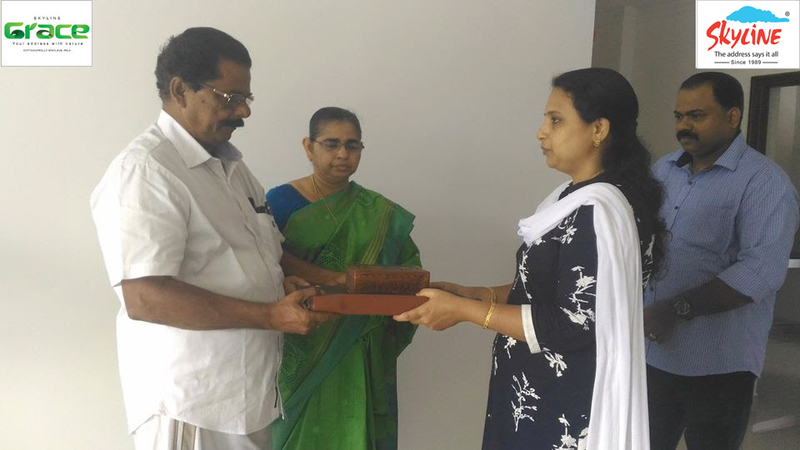 APT # 1A Brown handed over to Mrs. Sosamma P. Oommen & Mr. Oommen P. Mathew. Good Luck and best wishes!!! 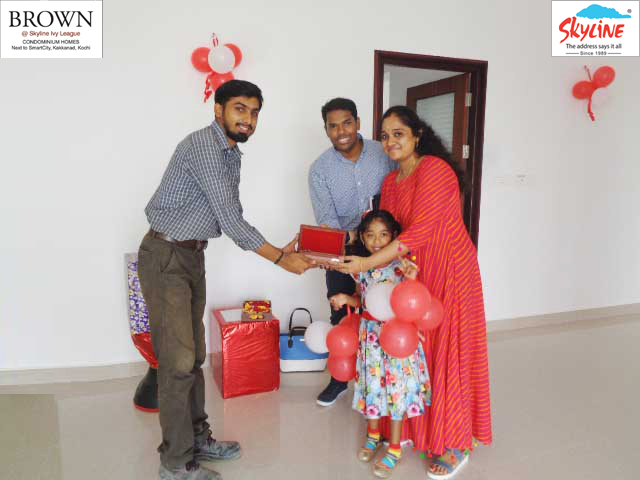 APT # 4B Brown handed over to Mr. Jitin Kishore. Good Luck and best wishes!!! 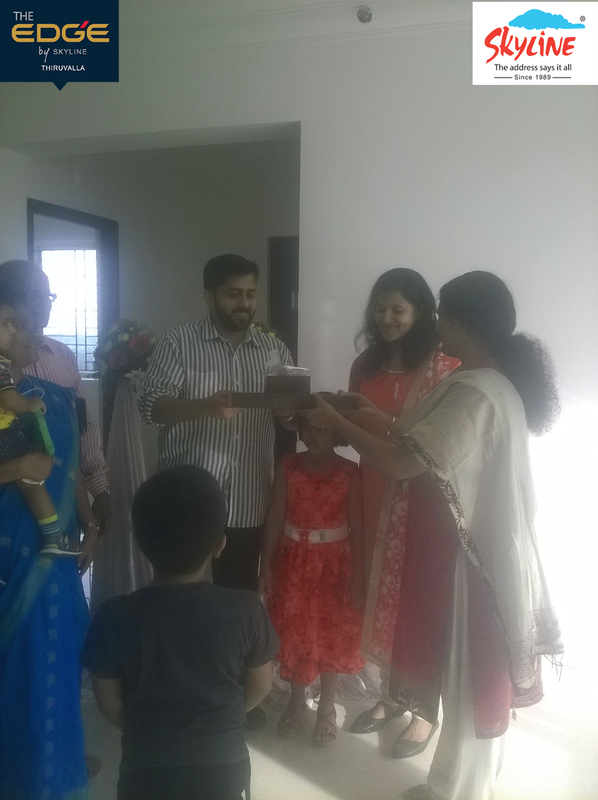 APT # 11C Brown handed over to Mr. Praveen Ramachandran Nair. Good Luck and best wishes!!! 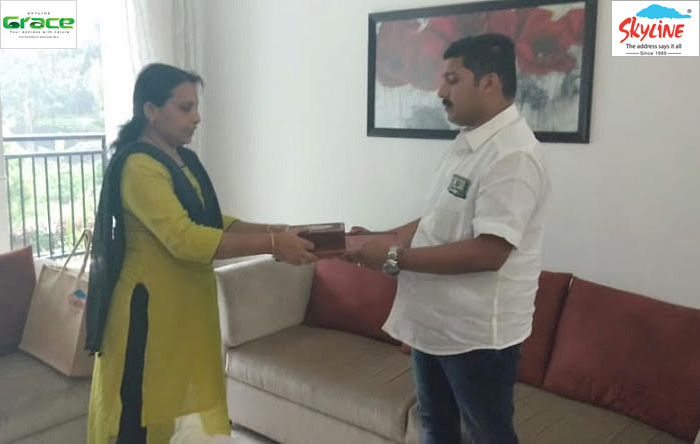 APT # 5C Brown handed over to Mrs. Nisha Rani Thankachi. Good Luck and best wishes!!! APT # 8G Brown handed over Mr.Rajan. V.Thomas. Good Luck and best wishes!!! 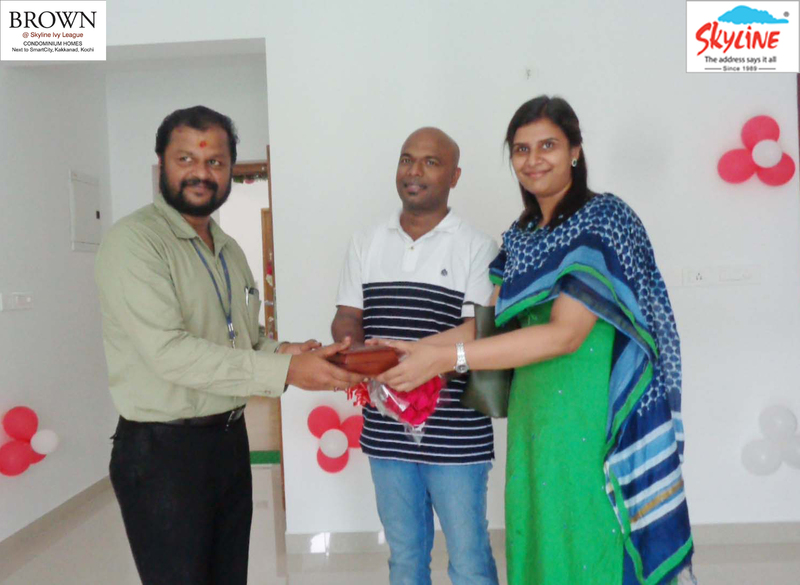 APT # 9C Brown handed over to Mr. Praveen Balachandran & Mrs. Minnu Anand.. Good Luck and best wishes!!! 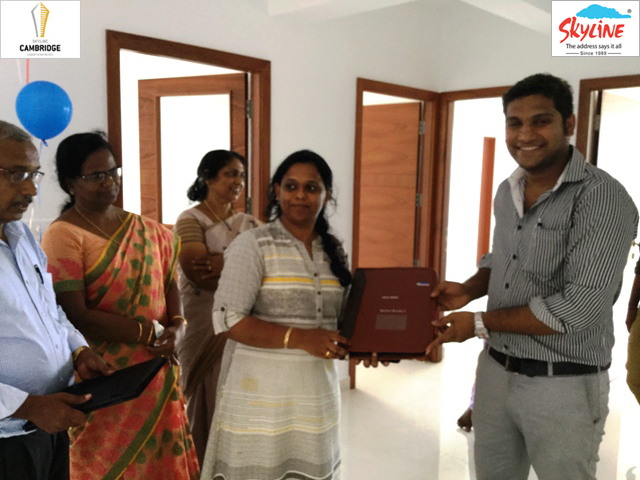 APT # 9B Zenith handed over to Mrs Dr. Sunny Jose Kottackal. Good Luck and best wishes!!! 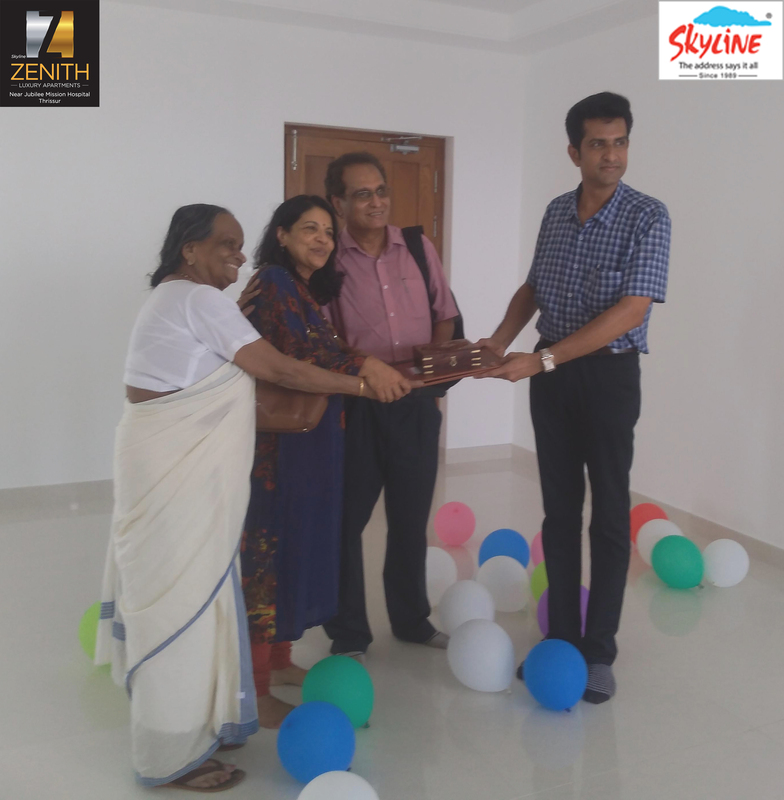 APT # 3B Zenith handed over to Dr. Girish Menon & Mrs. Suvarna Menon. Good Luck and best wishes!!! 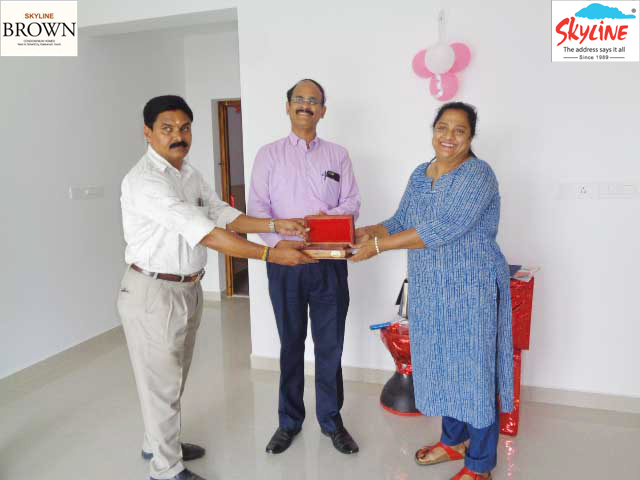 APT # 14B Zenith handed over to Mrs. Jayasree Prahbakaran & Dr. M. Prabhakaran. Good Luck and best wishes!!! 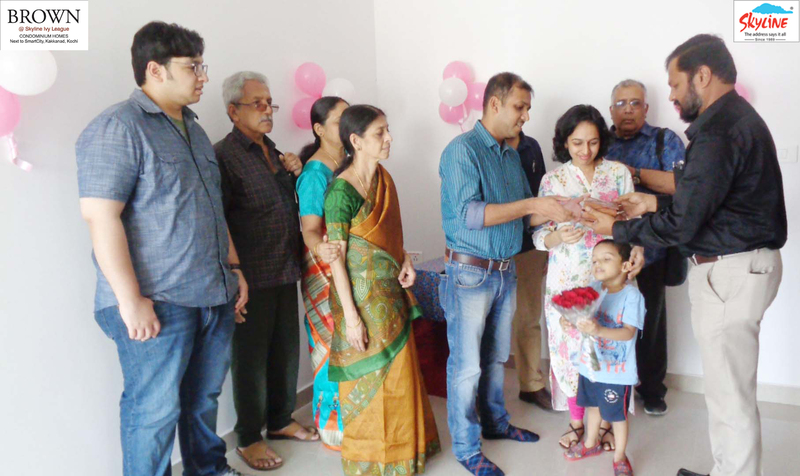 APT # 18B Zenith handed over to Mrs & Mr. Ganesh Hariharan Nurani. Good Luck and best wishes!!! 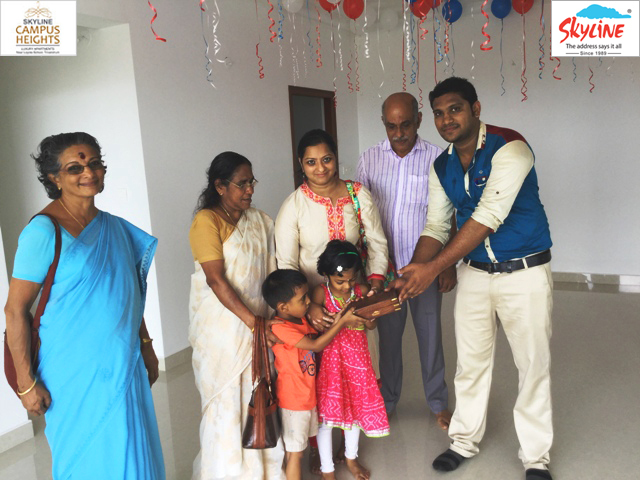 APT # 6D Grace handed over to Mr.Santhosh P.K . Good Luck and best wishes!!! 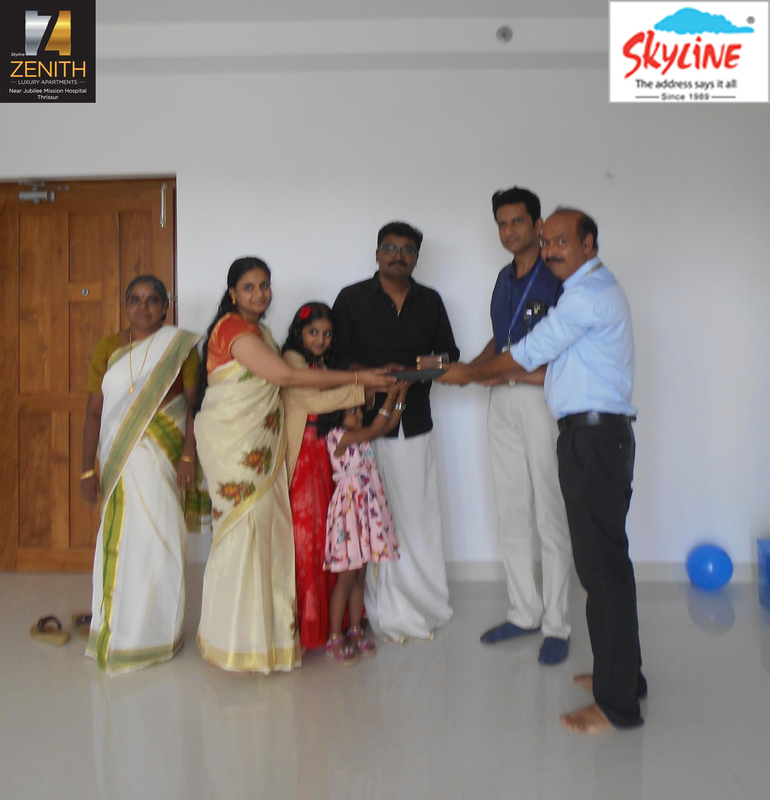 APT # 13C ZENITH handed over to Mr.Nhaloor Raman Nair Unnimadhavan & Mrs.Asha Unnimadhavan. Good Luck and best wishes!!! 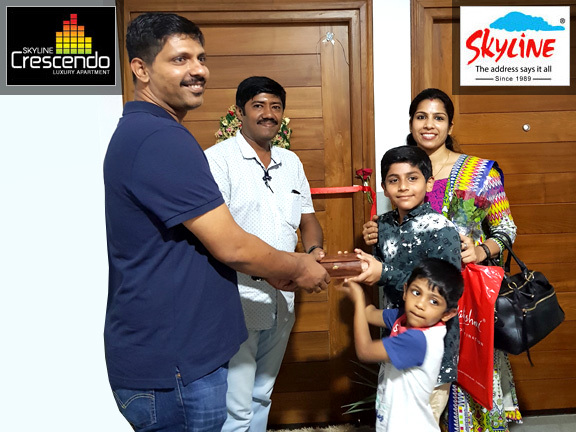 APT # 7C ZENITH handed over to Mrs & Mr. Manoj Kumar. Good Luck and best wishes!!! 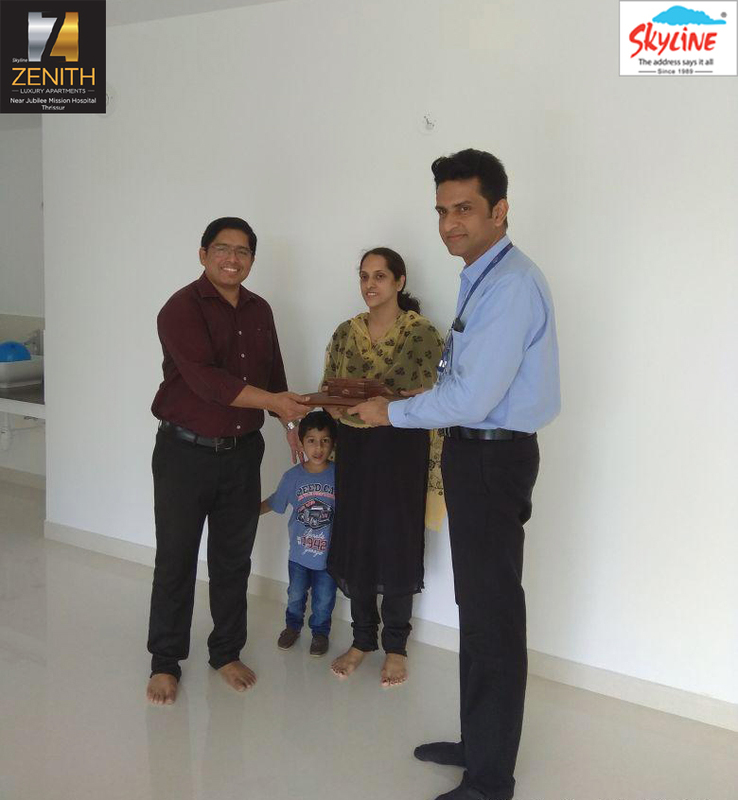 APT # 6D ZENITH handed over to Mr & Mrs.Daniel Davis. Good Luck and best wishes!!! 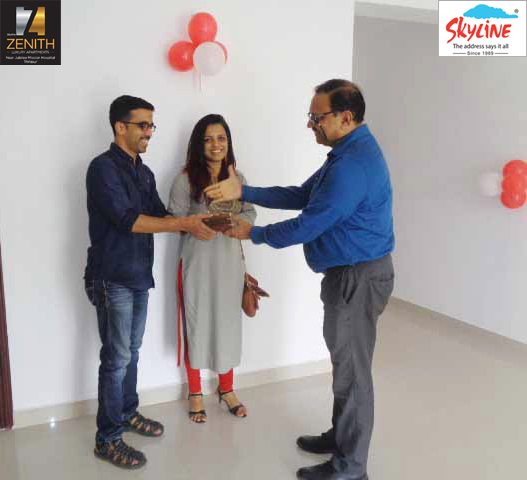 APT # 8C ZENITH handed over to Mr.Alex Vincent & Mrs. Reshma Alex. Good Luck and best wishes!!! 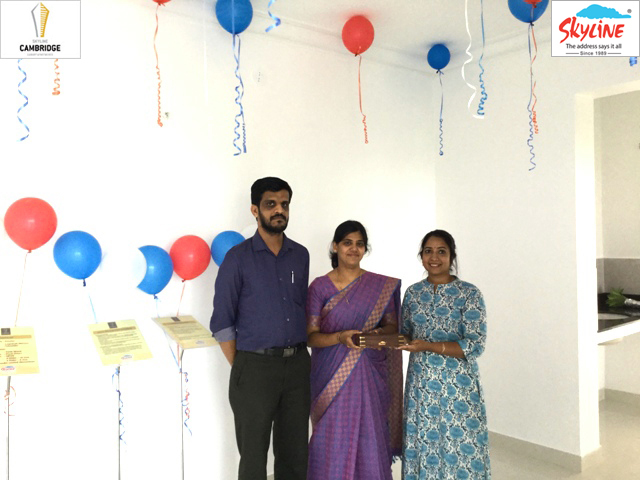 APT # 18A ZENITH handed over to Mrs.Mercy Paul & Mrs. Niya Paul. Good Luck and best wishes!!! 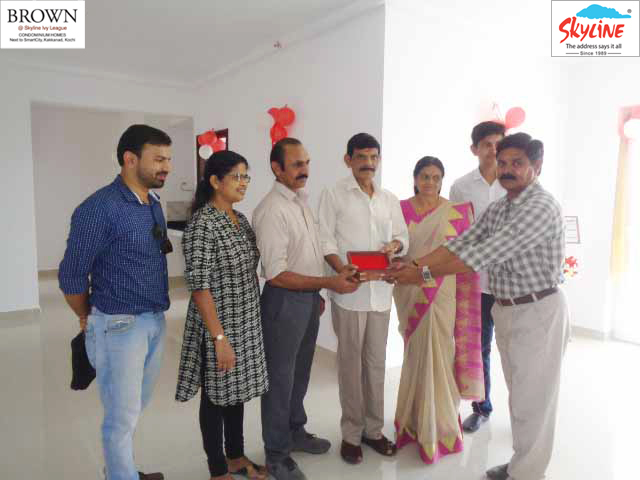 APT # 15B AXIS handed over to Mr.Ajay Gopalakrishnan Mrs.Soumya Ajay Gopalakrishnan. Good Luck and best wishes!!! 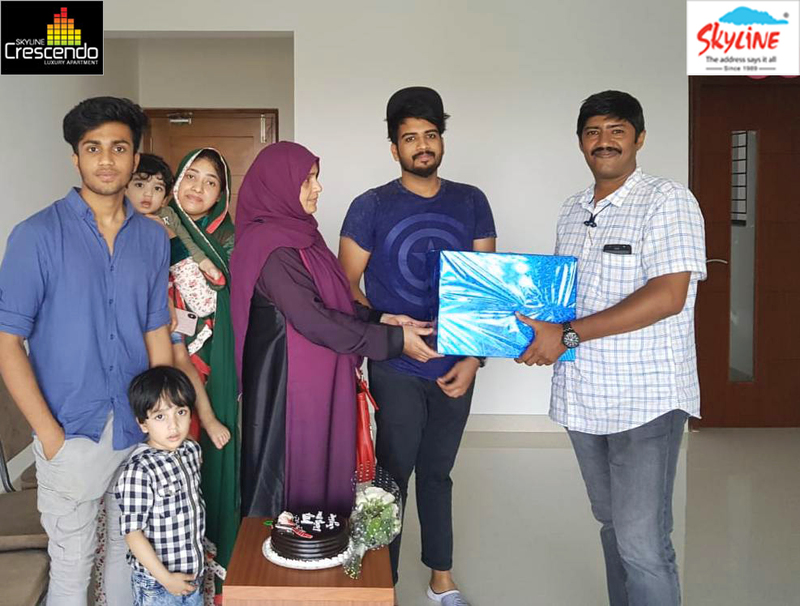 APT # 4C AXIS handed over to Mrs & Mr. Mohammad Abdurahiman. Good Luck and best wishes!!! 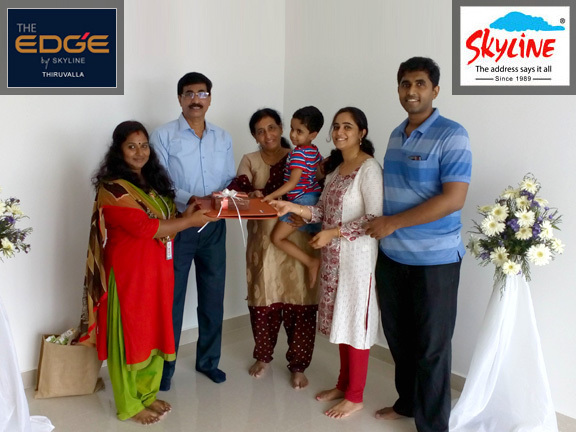 APT # 9A CAMBRIDGE handed over to Mr. Sajan Varghese. Good Luck and best wishes!!! 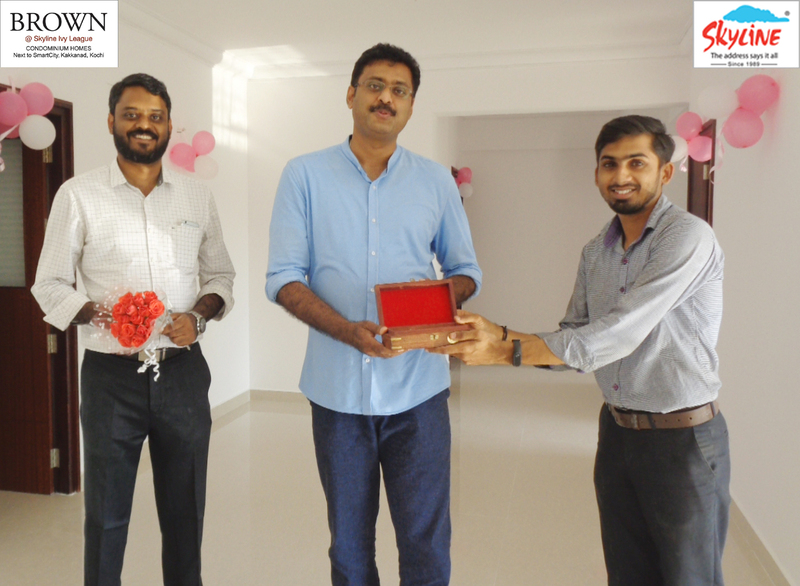 APT # 10G CAMBRIDGE handed over to Mr.Ajaykrishnan.G & Mr.Gopalkrishna Tharoor. Good Luck and best wishes!!! 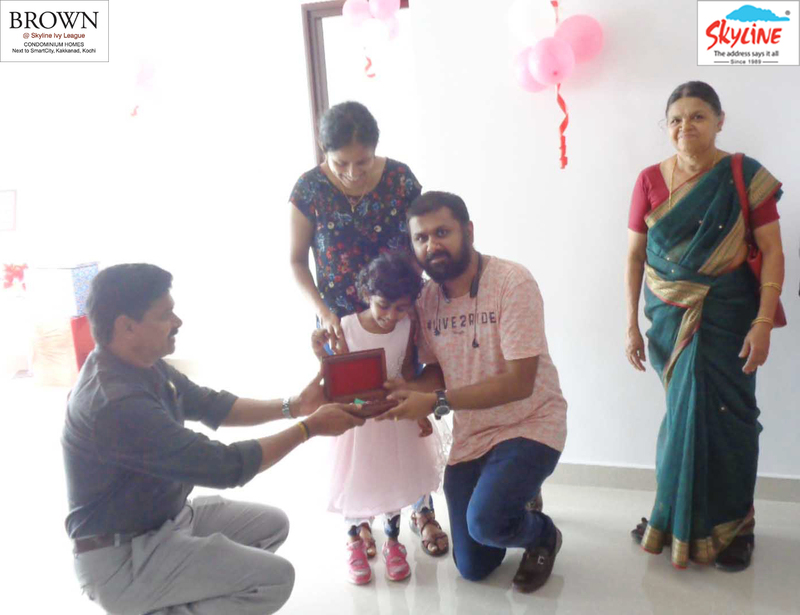 APT # 13C CAMPUS HEIGHTS handed over to Mr. Girish.S. Good Luck and best wishes!!! 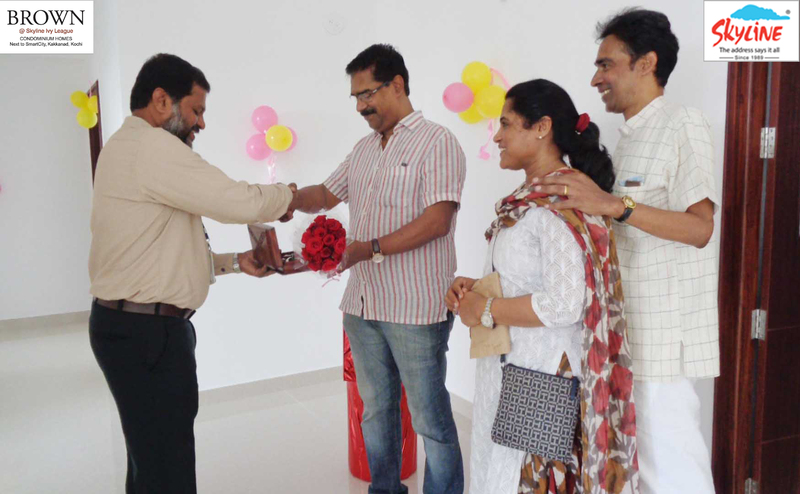 APT # 12B CAMPUS HEIGHTS handed over to Mr. Linu Oommen . Good Luck and best wishes!!! 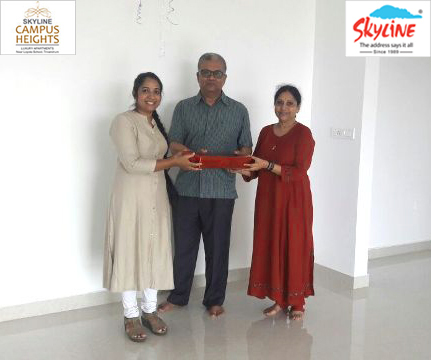 APT # 13A CAMPUS HEIGHTS handed over to Mr. Aji Thomas. Good Luck and best wishes!!! 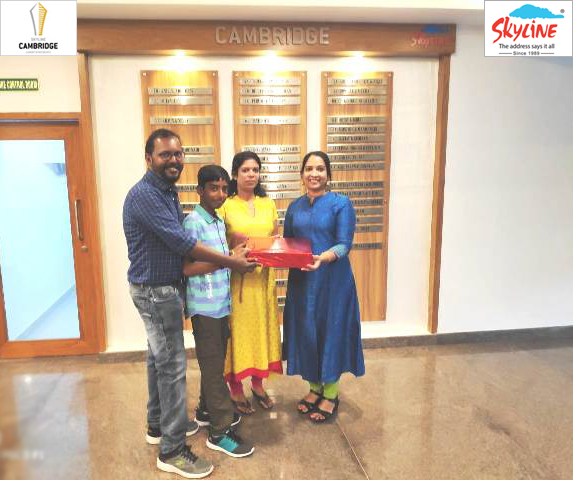 APT # 11A CAMBRIDGE handed over to Mr. Vimal Mohan. Good Luck and best wishes!!! 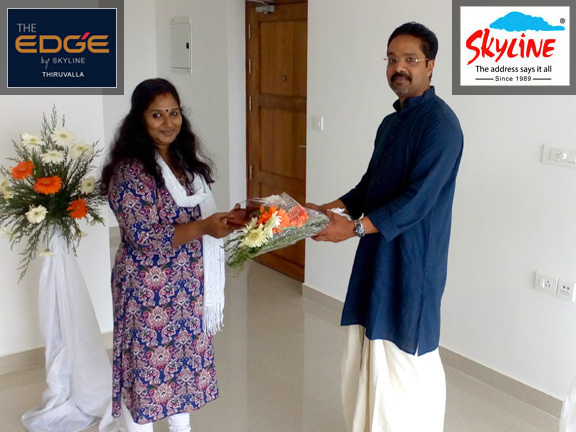 APT # 9F CAMBRIDGE handed over to Ms. Simi Rajappan. Good Luck and best wishes!!! 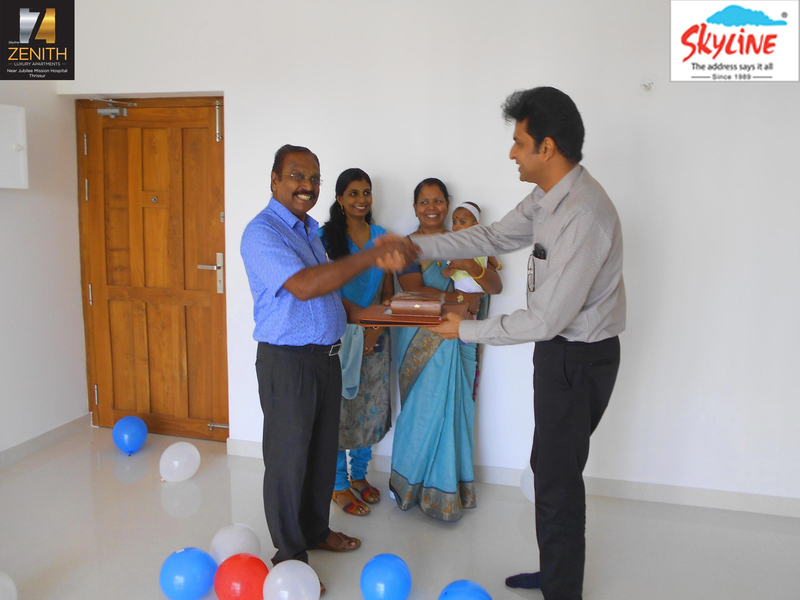 APT # 5A CAMBRIDGE handed over to Mr. Shibu Thomas. Good Luck and best wishes!!! 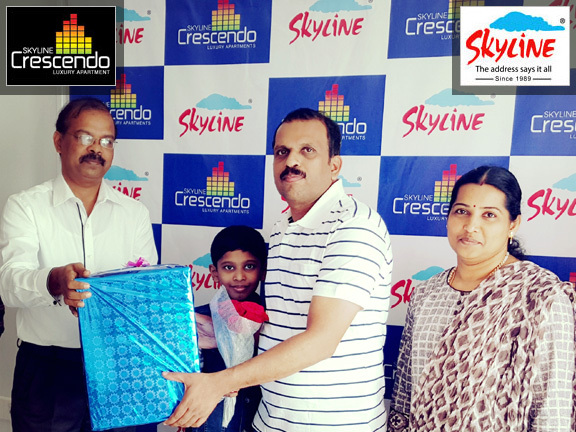 APT # 6E CRESCENDO handed over to Mr. Suresh Kumar P.. Good Luck and best wishes!!! 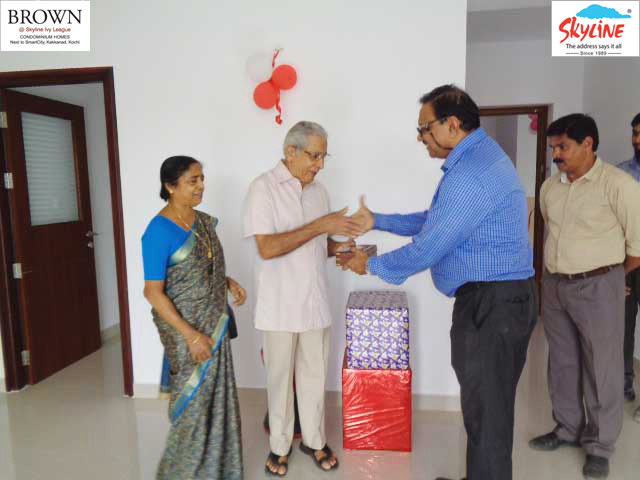 APT # 16 A Edge handed over to Mr.George Abraham. Good Luck and best wishes!!! 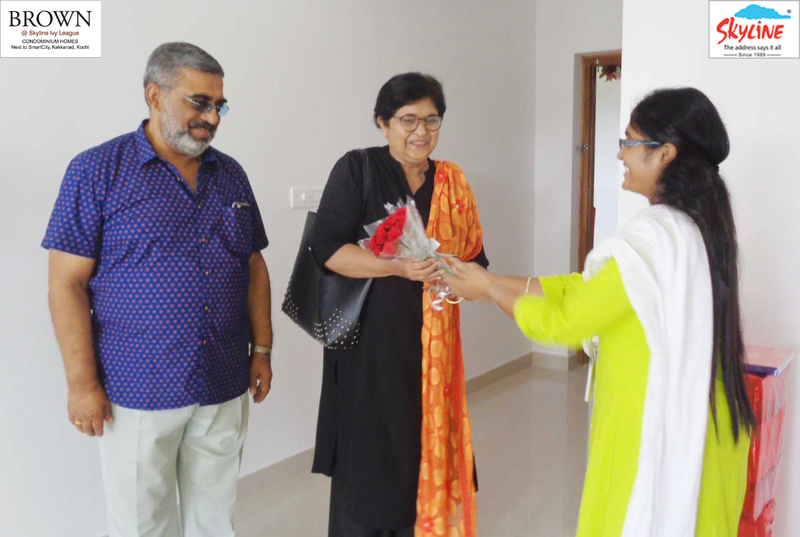 APT # 14C CRESCENDO handed over to Mrs.Zarina Navas Elias. Good Luck and best wishes!!! 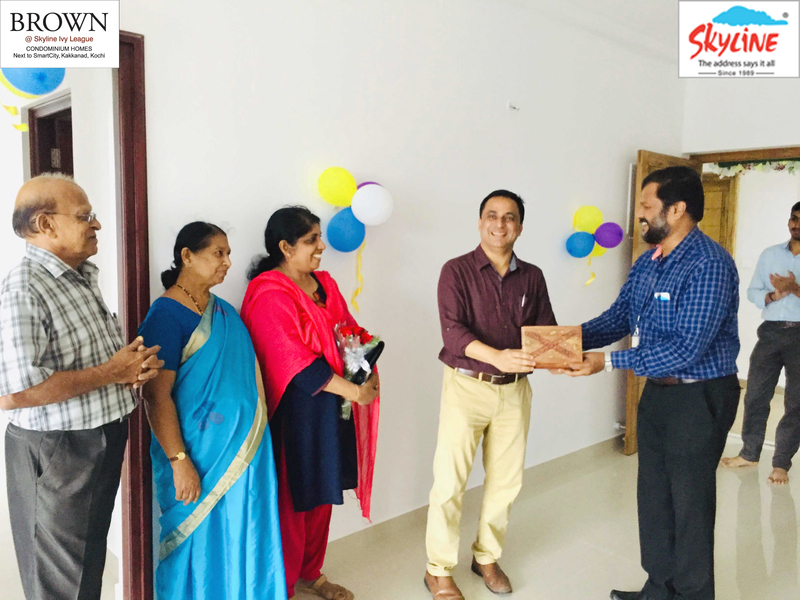 APT # 5C CAMPUS HEIGHTS handed over to Mr. Sherry Rajan. Good Luck and best wishes!!! 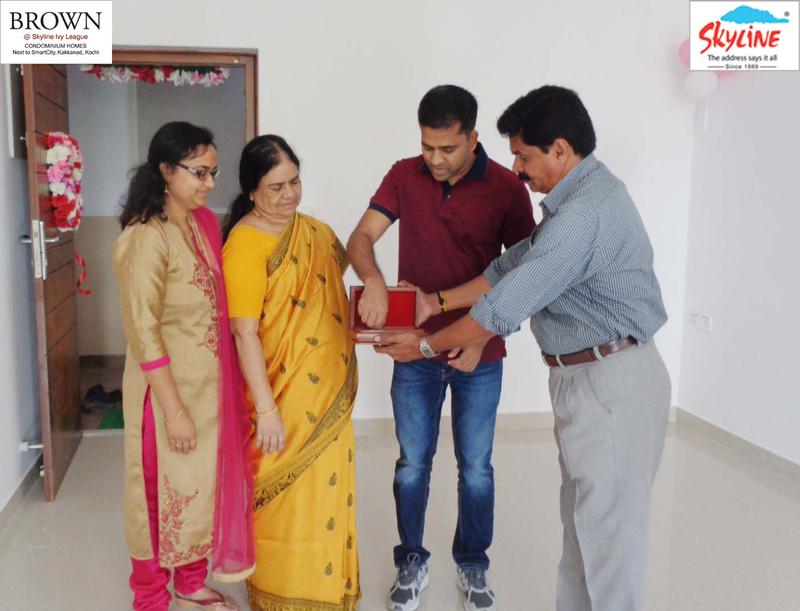 APT # 15C CAMPUS HEIGHTS handed over to Mr. Sunil Vasanta Govind. Good Luck and best wishes!!! 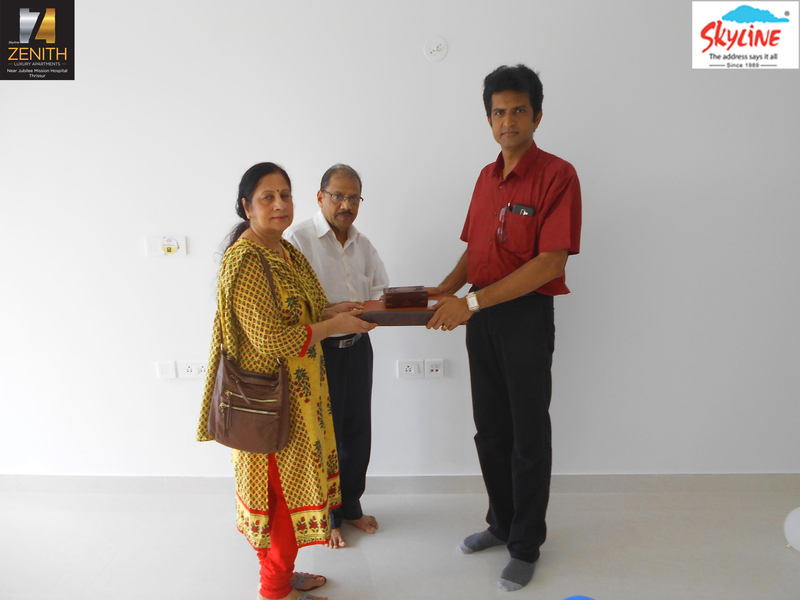 APT # 12D CAMPUS HEIGHTS handed over to Mr. Amaldeep Pradeep. Good Luck and best wishes!!! 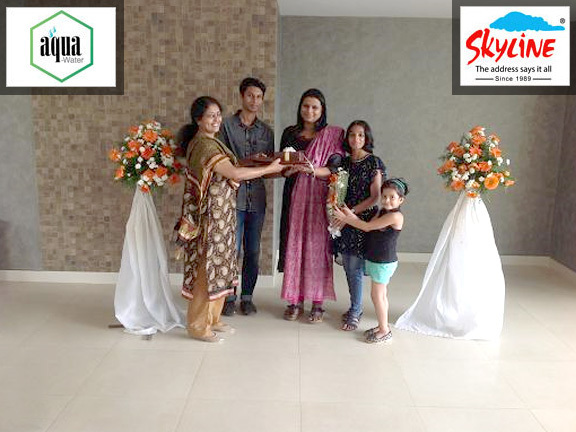 APT # 15D CAMPUS HEIGHTS handed over to Mrs. Sneha Paleri. Good Luck and best wishes!!! 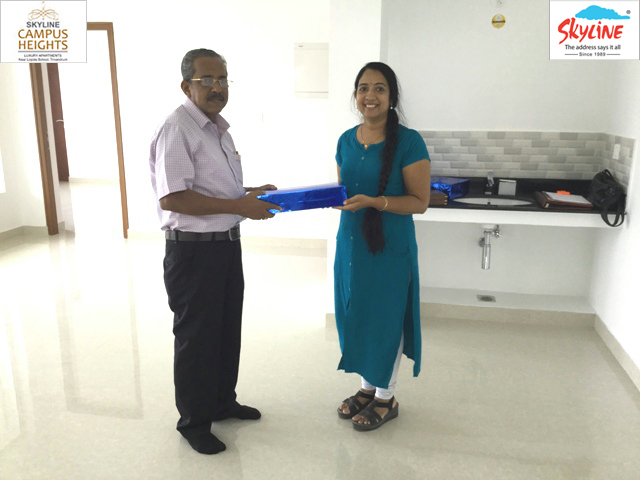 APT # 10B CAMBRIDGE handed over to Mr. Dipulal Velappan. Good Luck and best wishes!!! 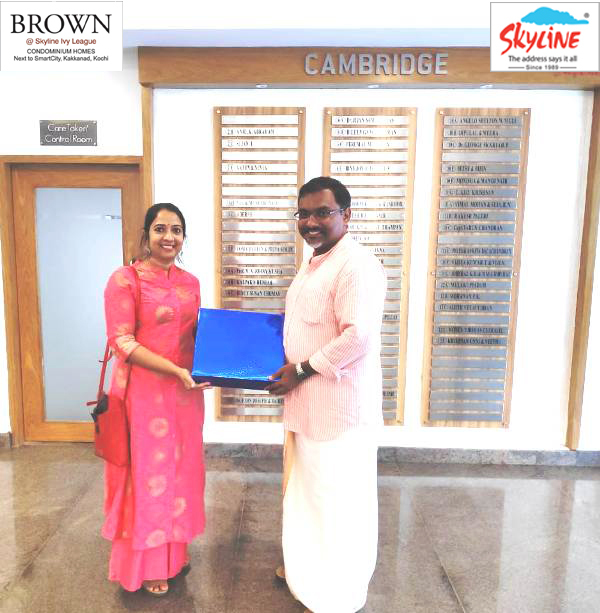 APT # 5F CAMBRIDGE handed over to Dr.John Joseph. Good Luck and best wishes!!! 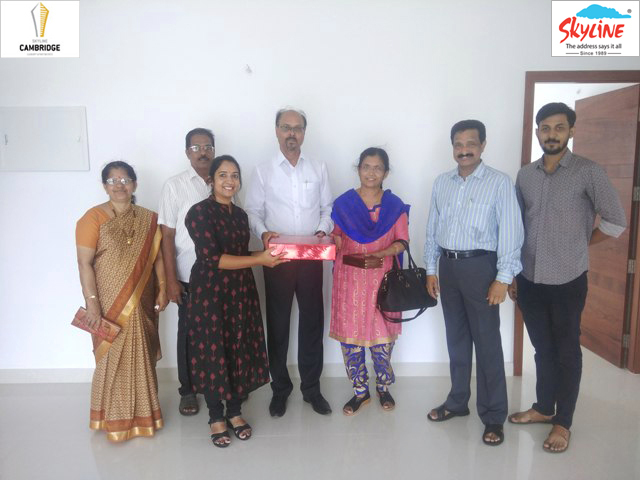 APT # 12A CAMBRIDGE handed over to Mrs. Mary Thomas. Good Luck and best wishes!!! 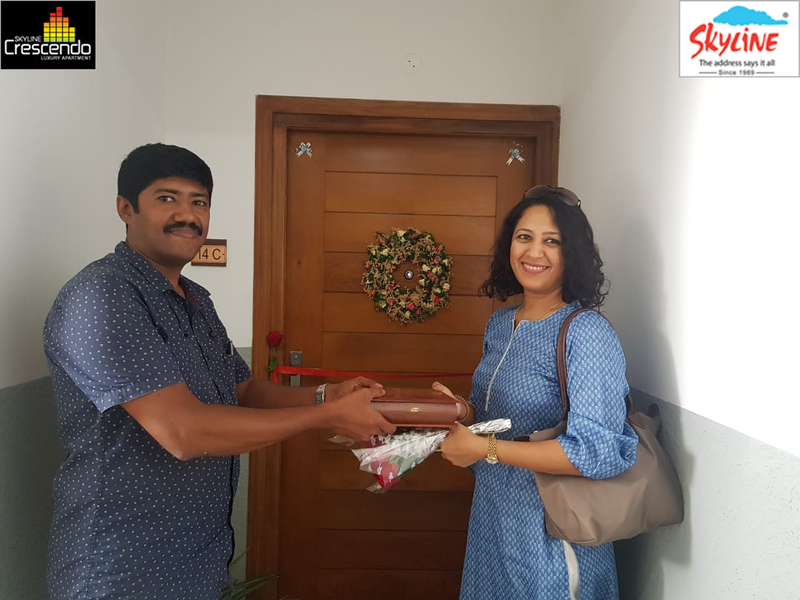 APT # 7D CAMBRIDGE handed over to Mr. Anice John. Good Luck and best wishes!!! 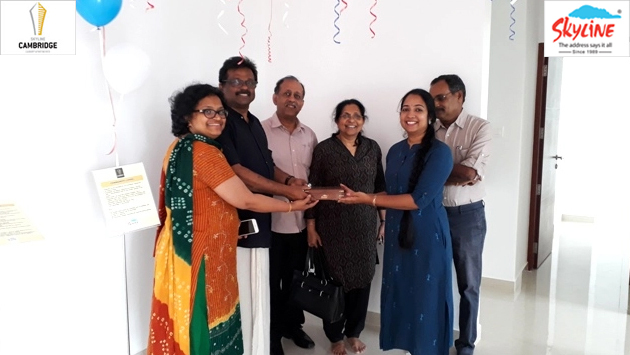 APT # 9E CAMBRIDGE handed over to Mr. Thulaseedharan Nair. Good Luck and best wishes!!! APT # 10B CAMPUS HEIGHTS handed over to Mr. Akash.G. Good Luck and best wishes!!! 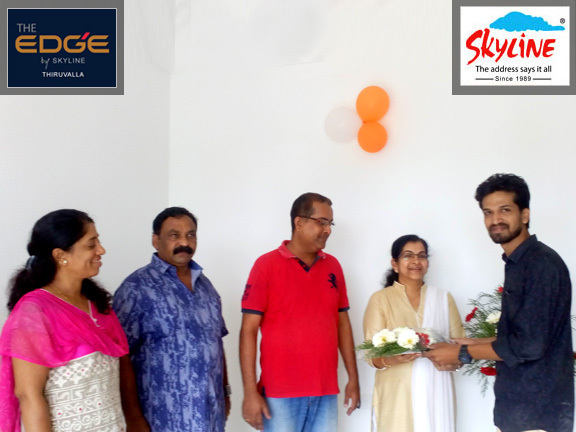 APT # 6E CAMBRIDGE handed over to Mr. Binu Joy. Good Luck and best wishes!!! 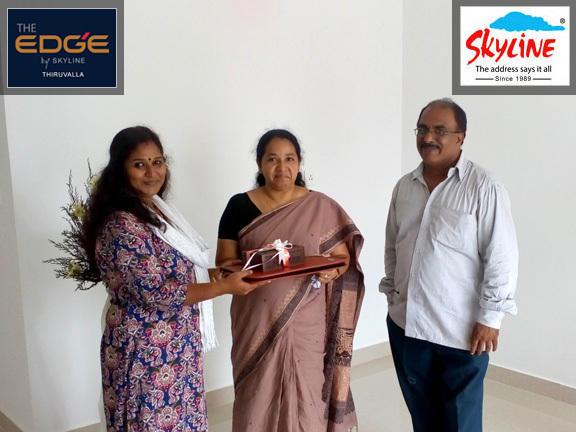 APT # 5E CAMBRIDGE handed over to Mrs. Elmy Cherian. Good Luck and best wishes!!! 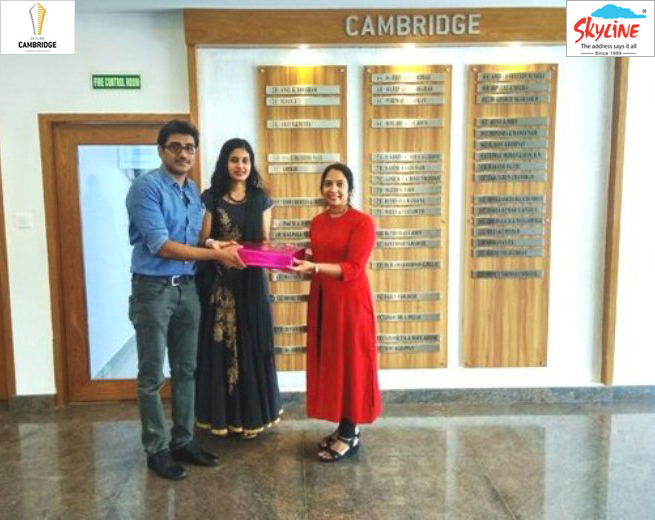 APT # 2C CAMBRIDGE handed over to Mr. Sujan.J. Good Luck and best wishes!!! 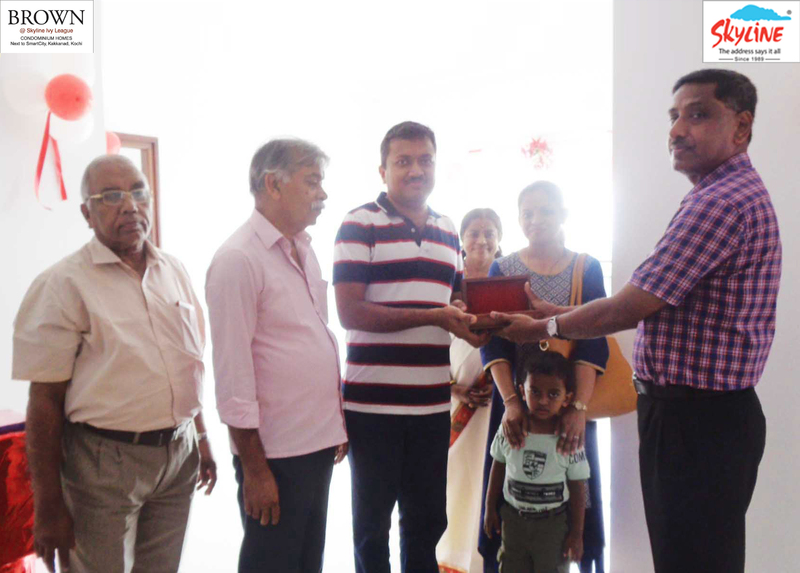 APT # 4B CAMBRIDGE handed over to Mr. Renosh Thomas. Good Luck and best wishes!!! 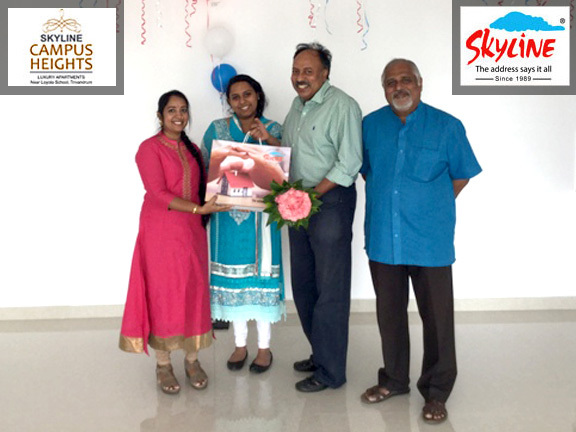 APT # 9C CAMPUS HEIGHTS handed over to Dr.Meena Vijayaraghavan & Dr.Ramankutty. Good Luck and best wishes!!! 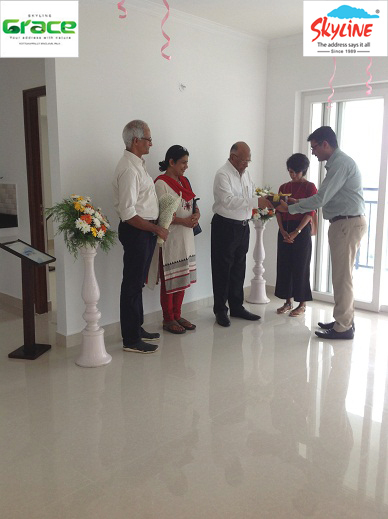 APT # 4C CAMBRIDGE handed over to Mrs.Bincy Susan & Mr.Johncy Chirayil. Good Luck and best wishes!!! 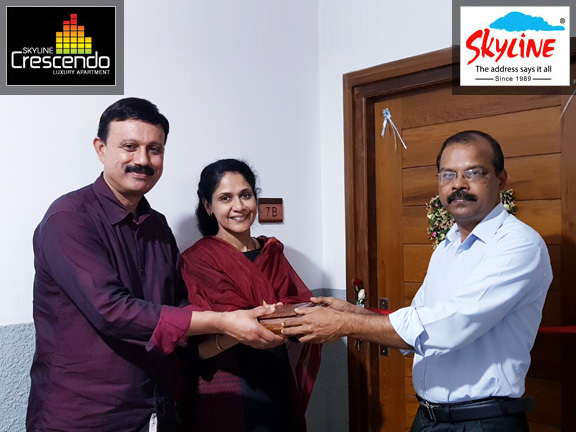 APT # 6B CAMBRIDGE handed over to Mr.Dileep Gangadharan. Good Luck and best wishes!!! 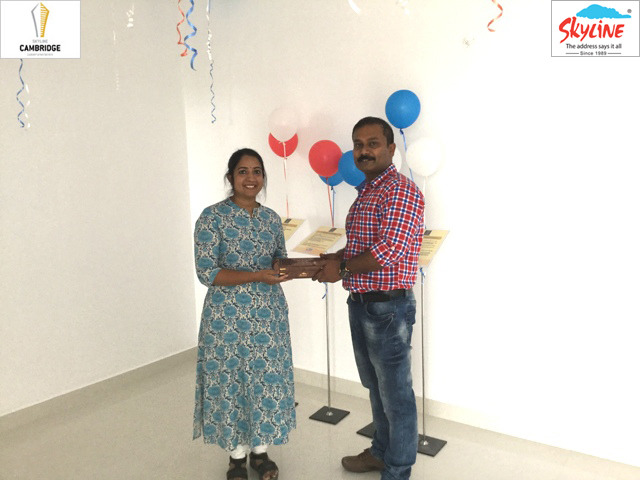 APT # 11C CAMBRIDGE handed over to Capt.Varunchandran. Good Luck and best wishes!!! 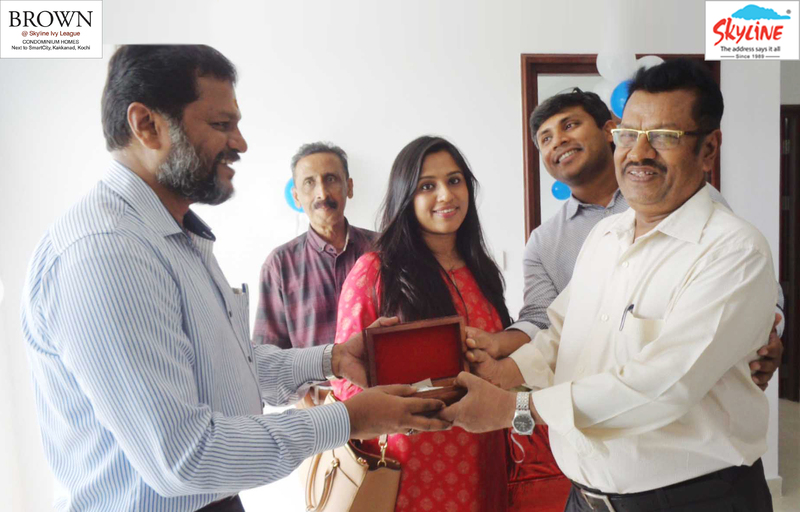 #B29 OASIS handed over to Mr.Basheer P Mohamed , Mrs.Zeena Basheer & Mr.Samir Basheer P.M . All the very best!!! 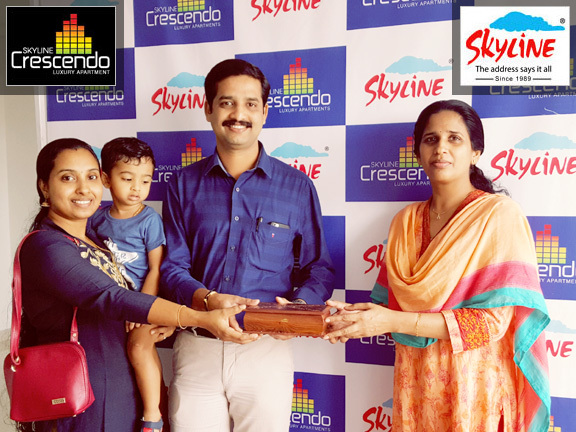 #15B Crescendo: On the key take over of your Apartment at Skyline 15B Crescendo, Mrs.Jameela Aboobacker and family. All the very best!!! 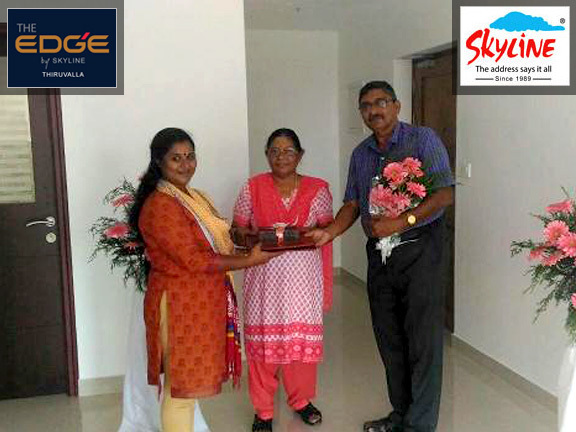 #Edge On the key take over of your Apartment at Skyline G C Edge , Mrs.Sinu Annie Thomas & Mr.Thomas Daniel. All the very best!!! 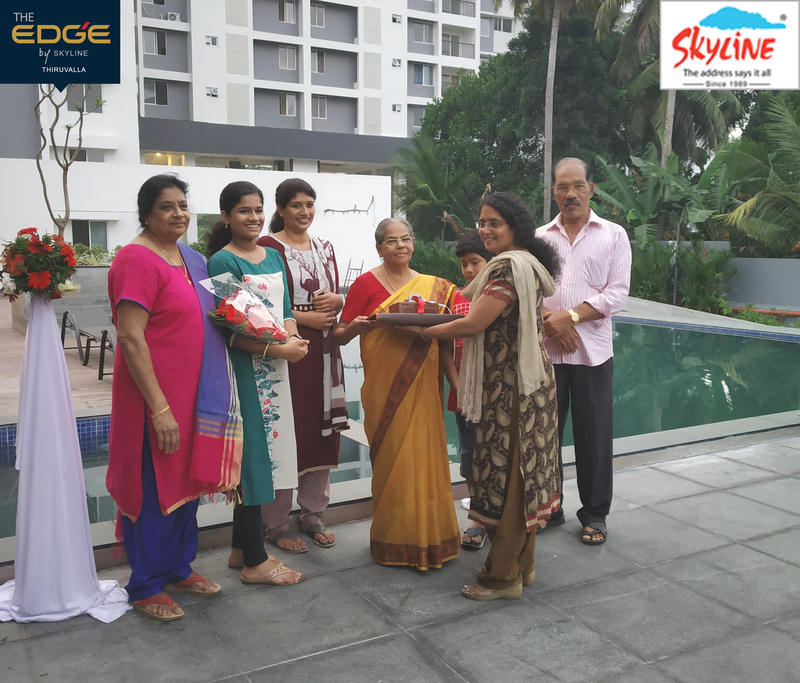 #8D Grace: On the key take over of your Apartment at Skyline 8D Grace ,Mrs.Tincy Jose & Mr.Bosco Thomas. All the very best!!! 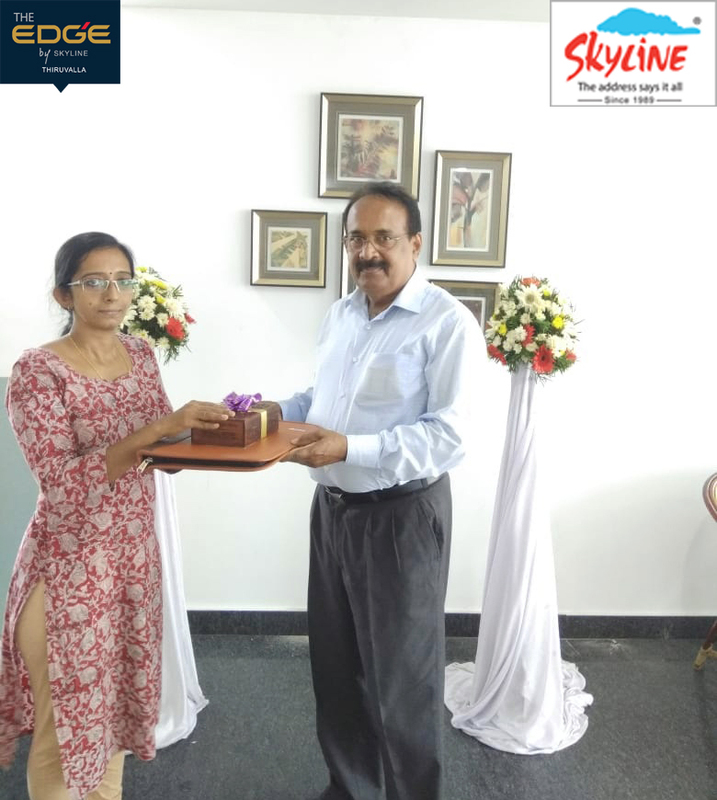 #8B Grace: On the key take over of your Apartment at Skyline 8B Grace ,Mr.Arun Varghese & Mrs.Minna Mathew. All the very best!!! #12A,12B & 13A Grace: On the key take over of your Apartment at Skyline 12A,12B & 13A Grace, Mr.Thomas George . All the very best!!! #15B Edge: On the key take over of your Apartment at Skyline 15B Edge ,Mr Stanly Koshy Mathew. All the very best!!! 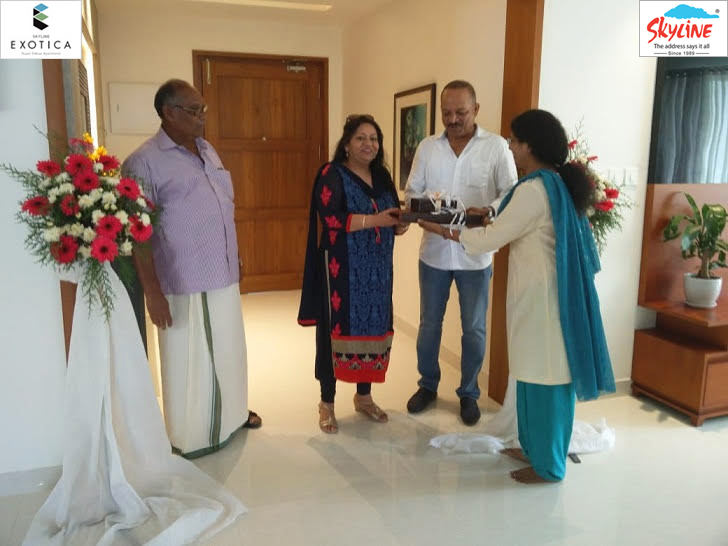 APT # 7F GRACE handed over to Mrs.Jessy Antony and Mr.Babu Joseph. Heartiest Congratulation!!! 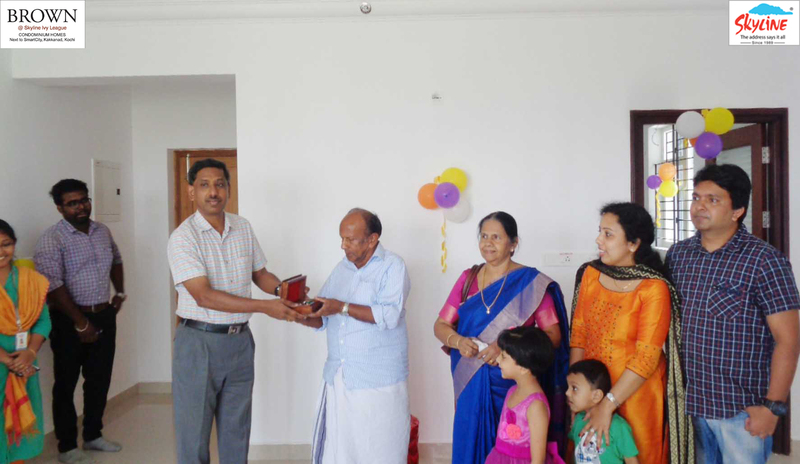 APT # 10F GRACE handed over to Mr.V.T.Joseph, Mrs.Graciamma Mathew and Mr.Gijo Joseph. Good Luck and best wishes!!! 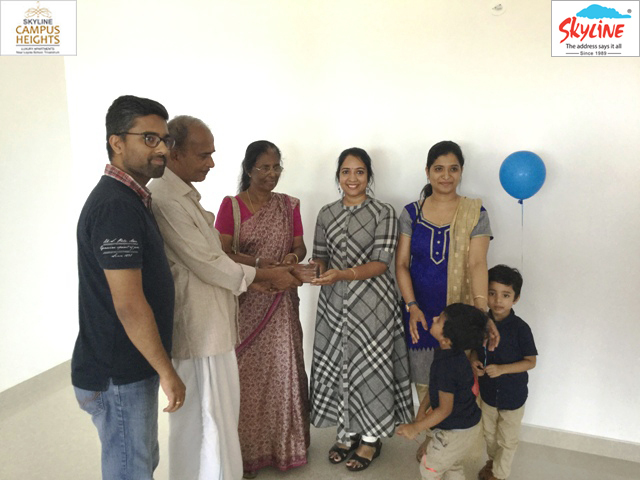 APT # 7B GRACE handed over to Mrs.Rani Jose & Mr.Melvin Jose. All the very best!!! 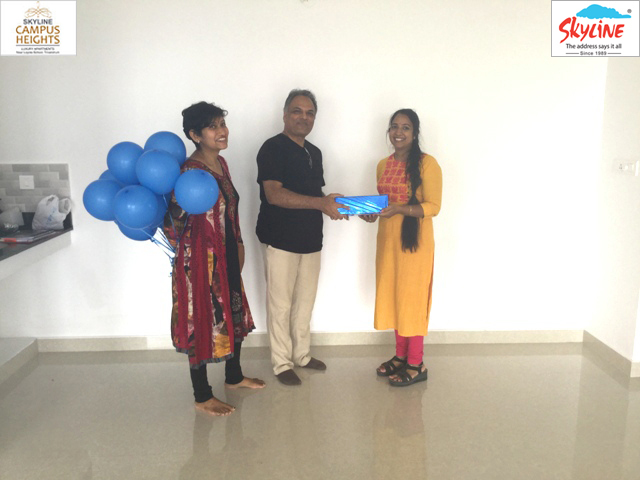 APT # 5A GRACE handed over to Mr.Jacob, Mrs.Honey & Ms.Meera. Heartiest Congratulation!!! 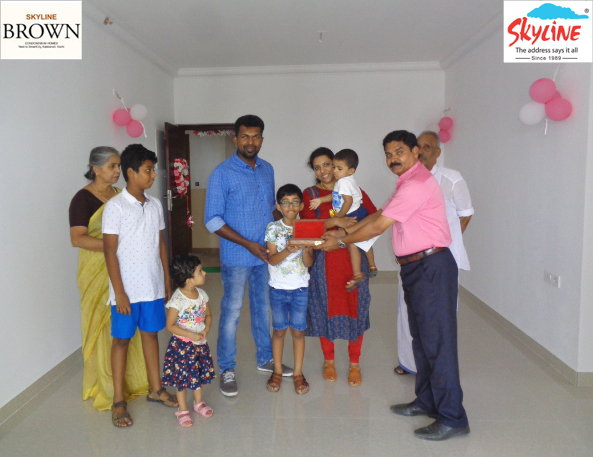 APT # 5B GRACE handed over to Mr.Lijomon George. Good Luck and best wishes!!! 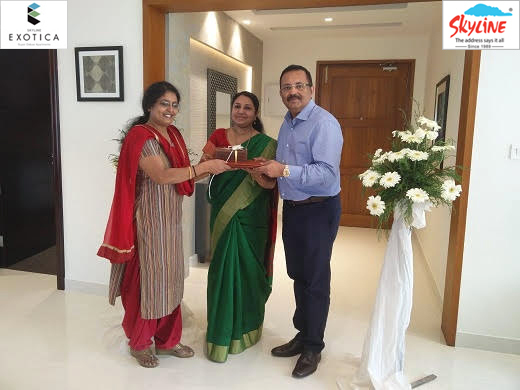 APT # 4B GRACE handed over to Dr.Sabita Augustine and Mr.V.M Augustine. All the very best!!! 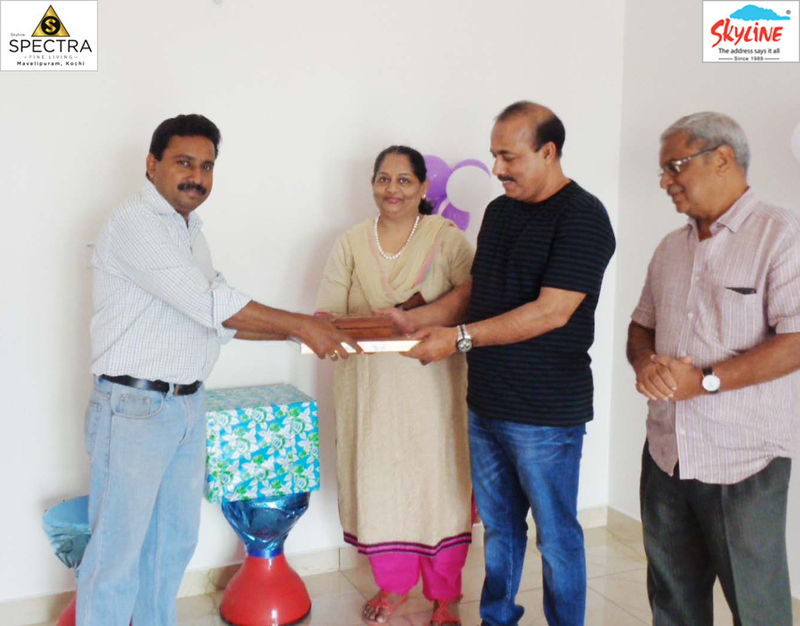 APT # 3A GRACE handed over to Mr.Sony Joseph. Good Luck and best wishes!!! 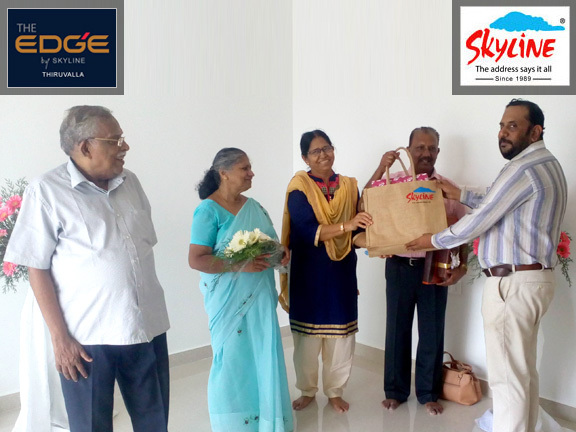 APT # 15E EDGE handed over to Mr.Sunny Jacob & Mrs.Marykutty Jacob. Good Luck and best wishes!!! 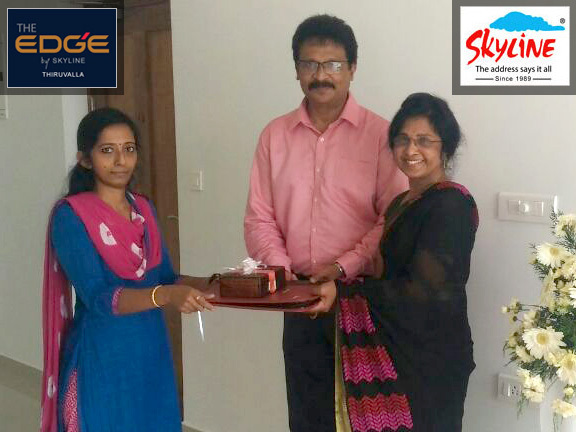 APT # 16E EDGE handed over to Dr.Satheesh Balakrishnan & Mrs.Meenu Satheesh. Good Luck and best wishes!!! 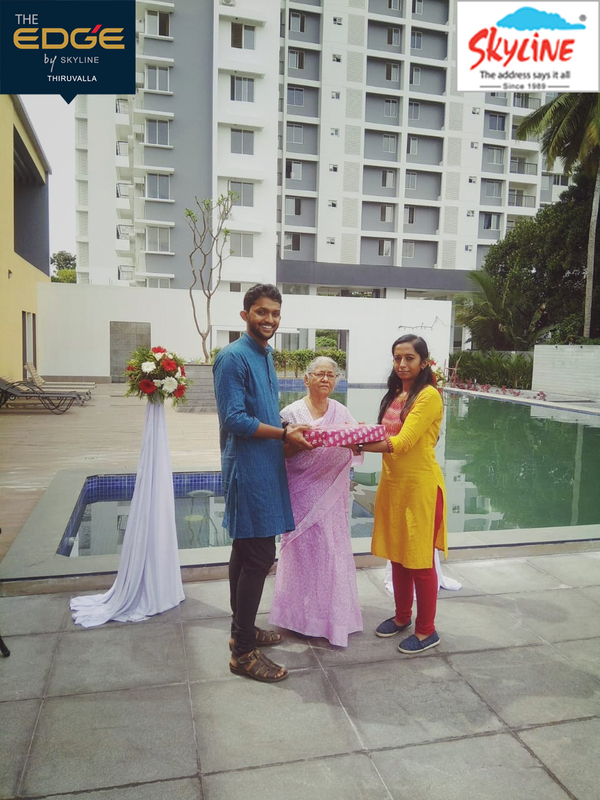 APT # 14G EDGE handed over to Mr.Kochitty Joshua & Mrs.Mariamma Joshua. Heartiest Congratulation!!! 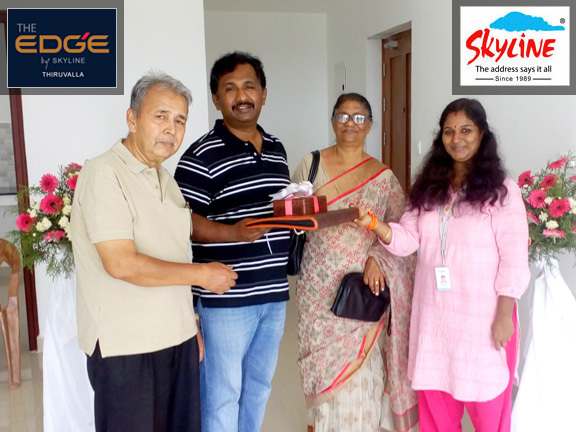 APT # 11H EDGE handed over to Mr. & Mrs.Lal Varghese. Good Luck and best wishes!!! 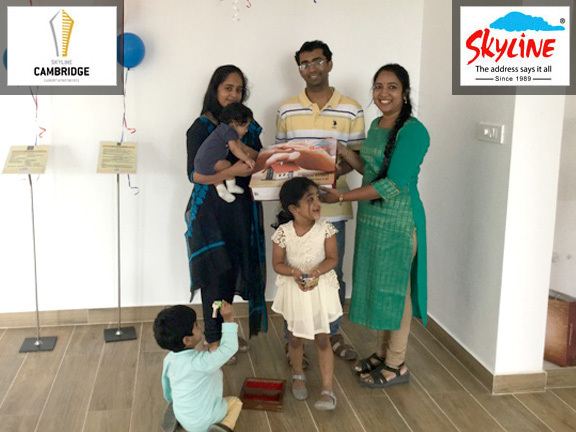 APT # 12E EDGE handed over to Mr.Liju Varghese & Family. All the very best!!! 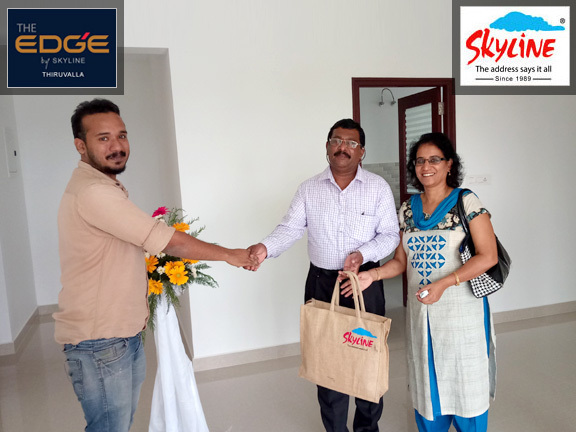 APT # 7E EDGE handed over to Mr.Suraj Mathew Varghese. Heartiest Congratulation!!! 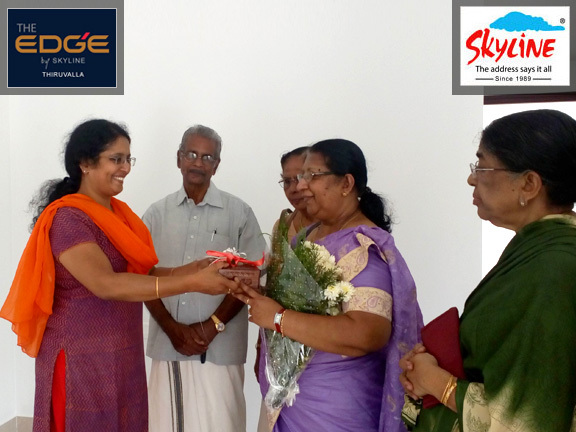 APT # 7F EDGE handed over to Mrs.Saramma Mathew John. Heartiest Congratulation!!! 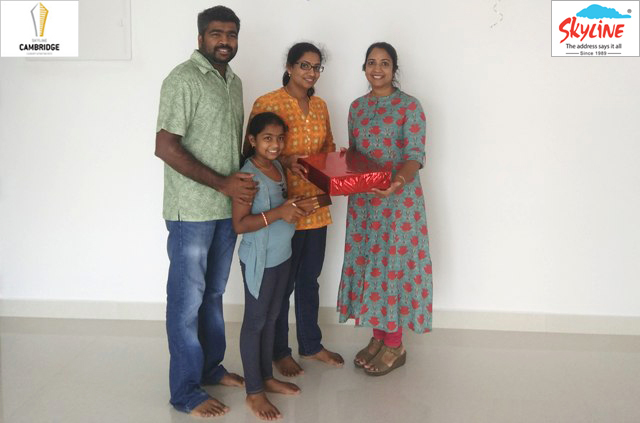 APT # 6H EDGE handed over to Mr.Varghese Thomas and Family. Heartiest Congratulation!!! 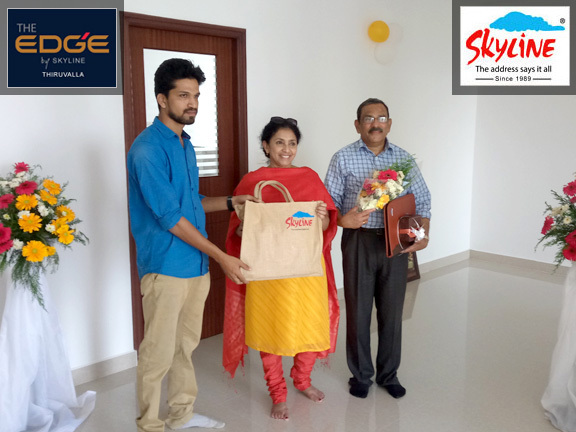 APT # 5F EDGE handed over to Mrs.Kshema Susan Mathew & Mr.Mathew Jacob. Good Luck and best wishes!!! 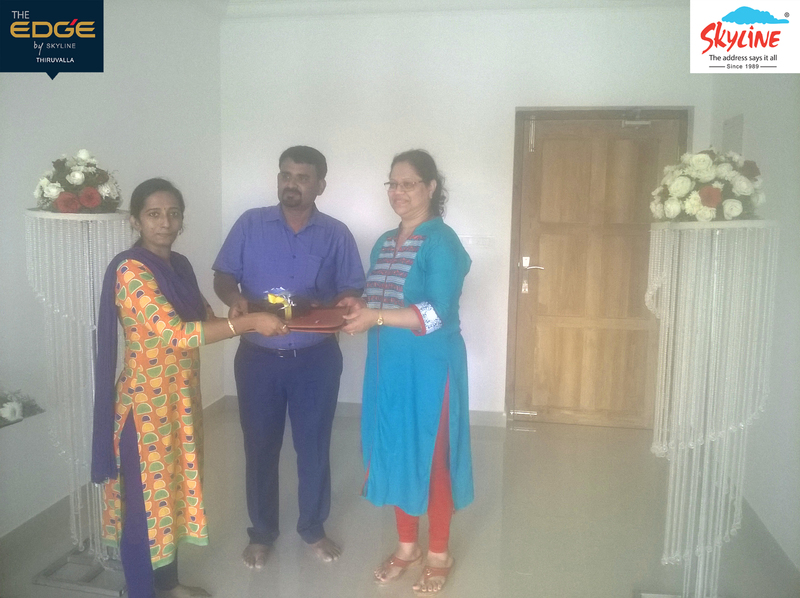 APT # 6F EDGE handed over to Mr.Jinu Chandraviruthil Varghese & Mrs.Dinny Jinu. All the very best!!! 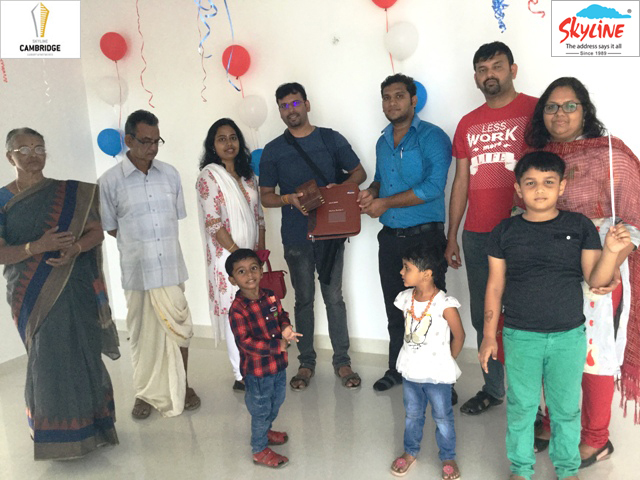 APT # 4G EDGE handed over to Mr.Jacob Philip & Family. Heartiest Congratulation!!! 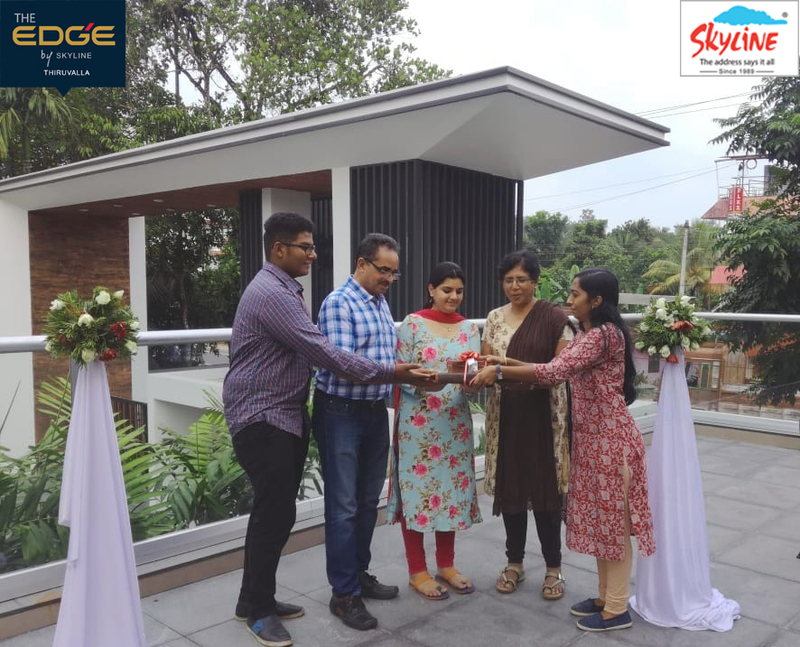 APT # 2G EDGE handed over to Mr.Sunil Abraham and Mrs.Latha Acha Mathew. Good Luck and best wishes!!! 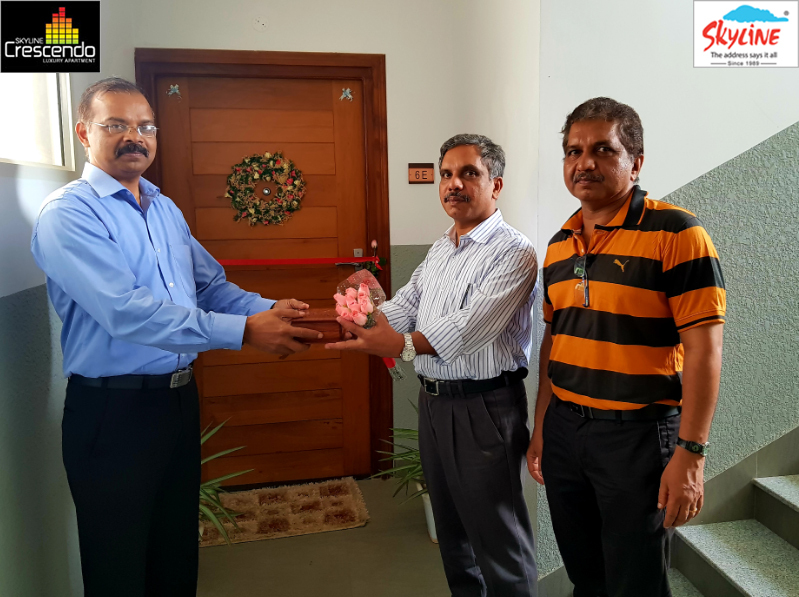 APT # 3E EDGE handed over to Dr.Anish Paul Gregory. All the very best!!! 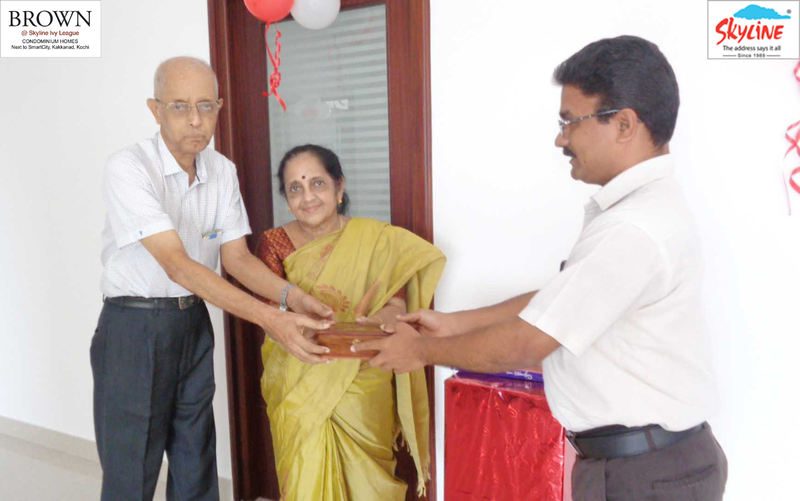 APT # 1F EDGE handed over to Mr.George Varghese and Mrs.Saramma George. All the very best!!! 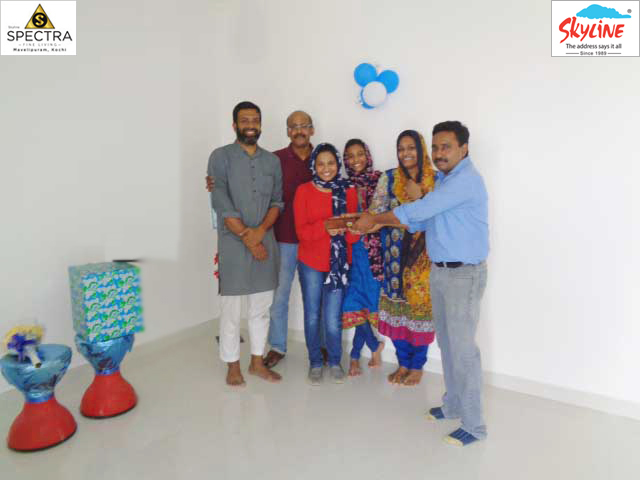 APT # 15E CRESCENDO handed over to Mr.Moideen Koya and family. Good Luck and best wishes!!! 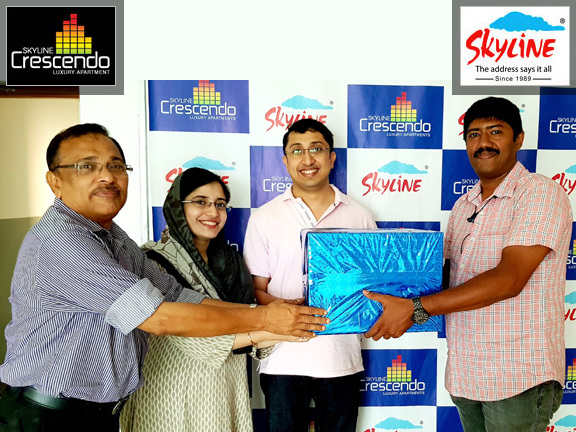 APT # 13B CRESCENDO handed over to Mr.Shahzad Abdul Rahim C.M. Heartiest Congratulation!!! 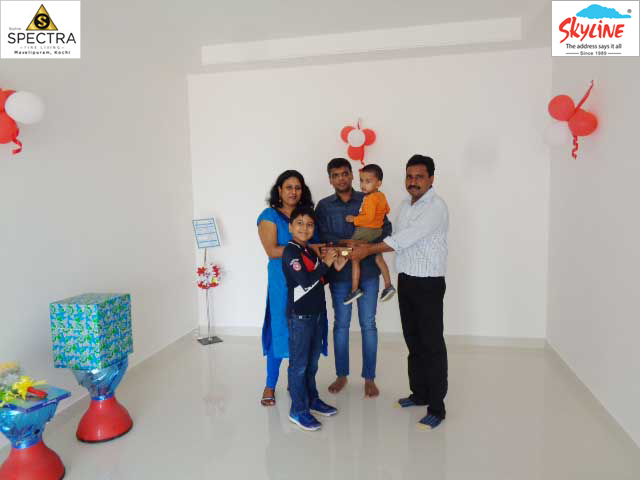 APT # 12E CRESCENDO handed over to Mr.Gregory Mathew & family. All the very best!!! 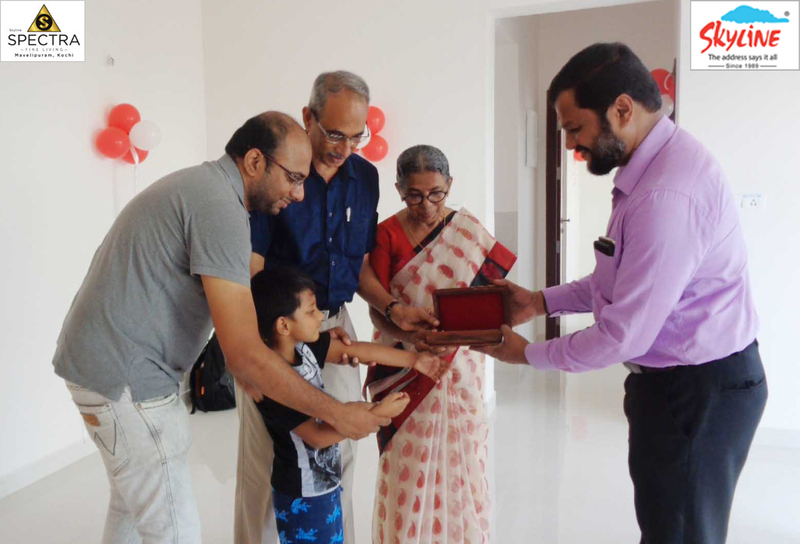 APT # 12A CRESCENDO handed over to Dr.Sameerali P. & family. Good Luck and best wishes!!! 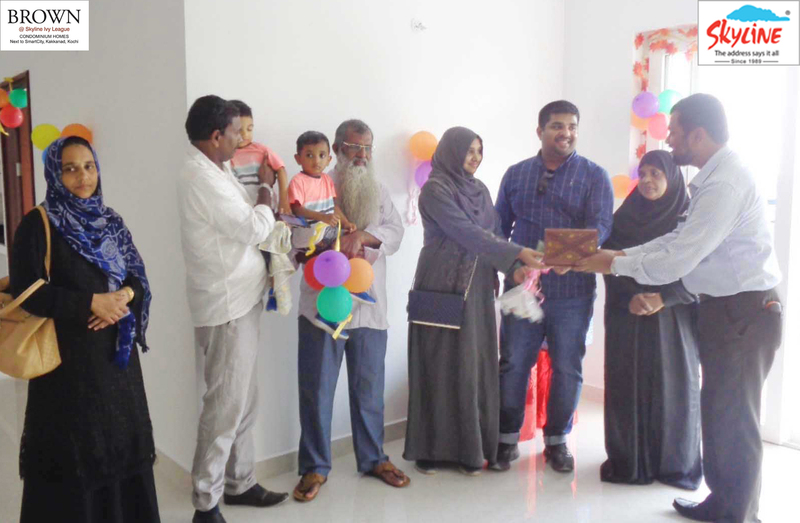 APT # 11C CRESCENDO handed over to Dr.Rayeez Rasheed & family. Good Luck and best wishes!!! 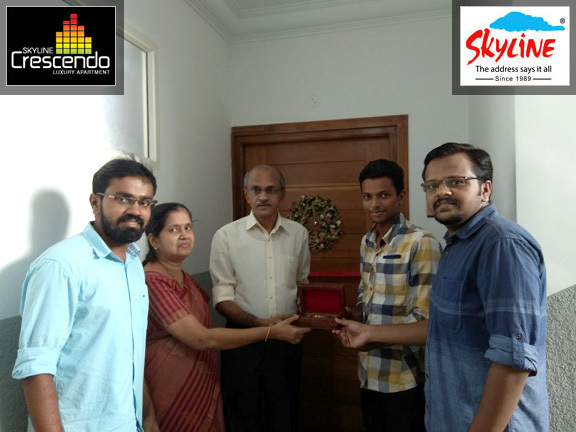 APT # 9C CRESCENDO handed over to Mr.Anith Kumar P. Key collected by his brother Sanjay on his behalf. All the very best!!! 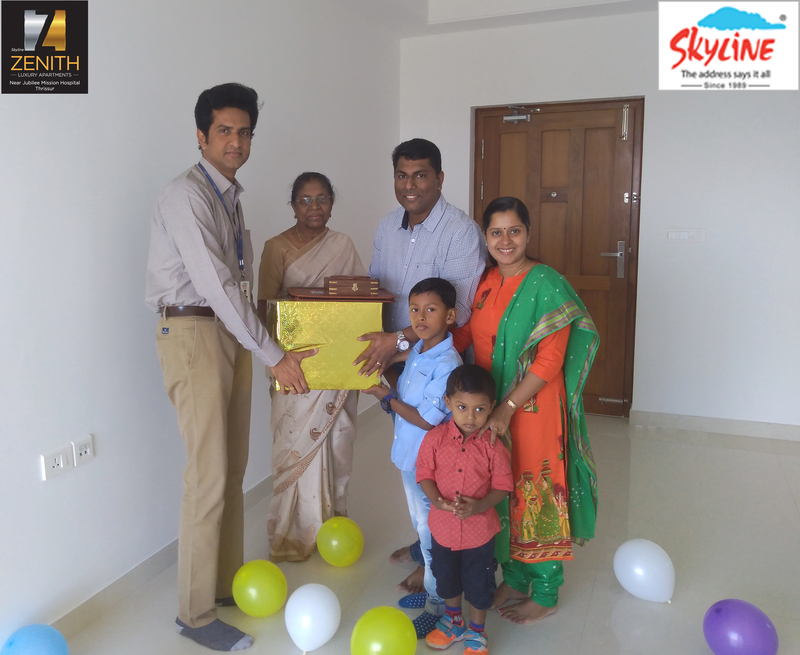 APT # 8E CRESCENDO handed over to Mrs.Prajeetha Brijesh & family. Heartiest Congratulation!!! 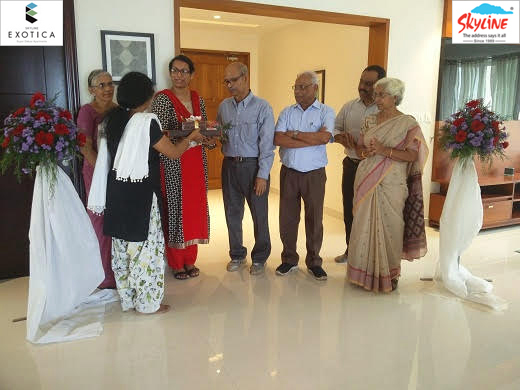 APT # 7D CRESCENDO handed over to Dr.Sajitha & family. Good Luck and best wishes!!! 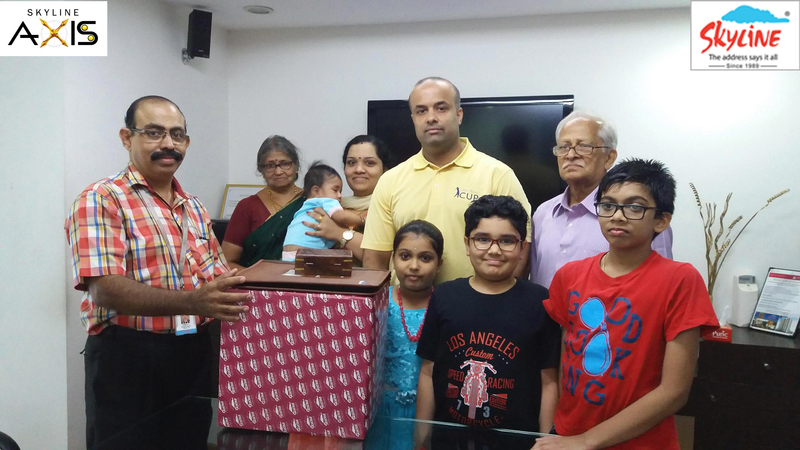 APT # 7C CRESCENDO handed over to Mr.Ramsheed Ali & family. Heartiest Congratulation!!! 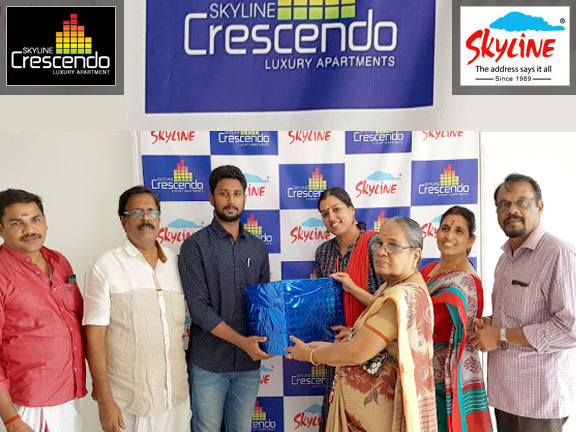 APT # 7B CRESCENDO handed over to Mr.Mathew Ozhukayil. All the very best!!! APT # 6D CRESCENDO handed over to Rev.Alamala Cheriyan. All the very best!!! 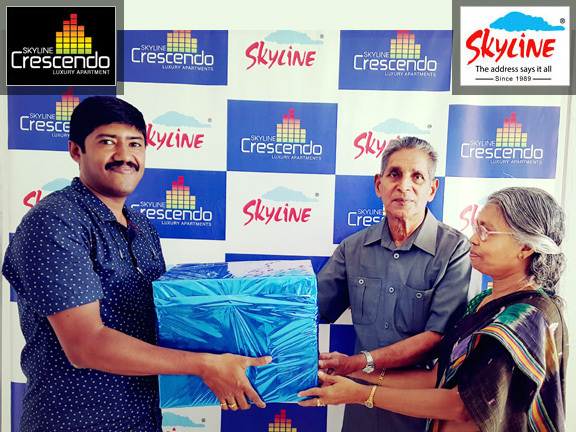 APT # 3A CRESCENDO handed over to Mr.Satheesh M and family. All the very best!!! 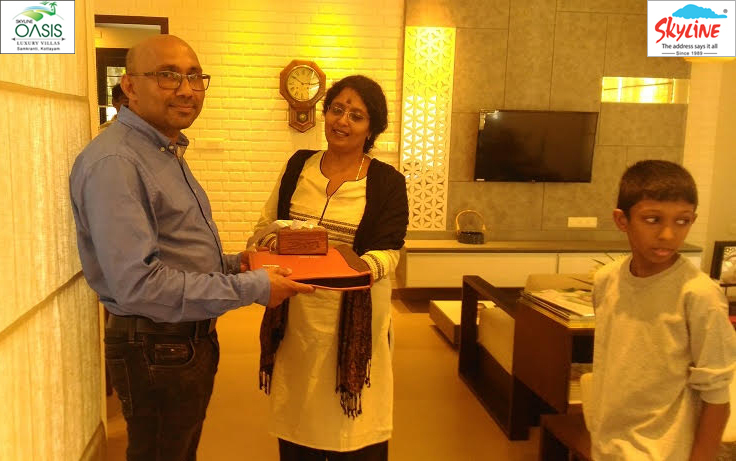 APT # 2B CRESCENDO handed over to Mr.Rajeev Othayoth & Mrs.Rakhee T.K. Heartiest Congratulation!!! 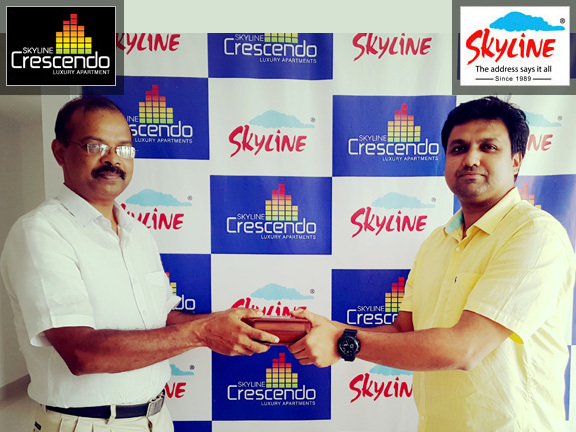 APT # 2A CRESCENDO handed over to Mr.Sajeev. Heartiest Congratulation!!! 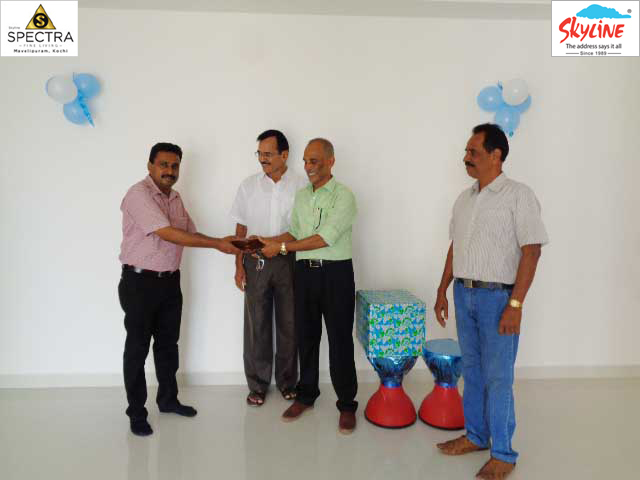 APT # 15B CAMPUS HEIGHTS handed over to Dr.Mini Jose & Mr.Jose Paul. All the very best!!! 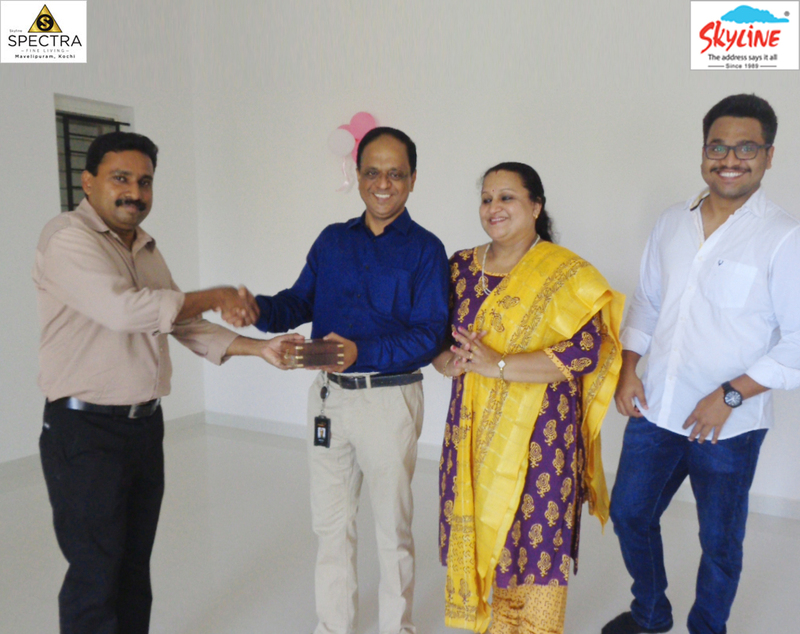 APT # 11C CAMPUS HEIGHTS handed over to Mr.Sanup.V. Good Luck and best wishes!!! 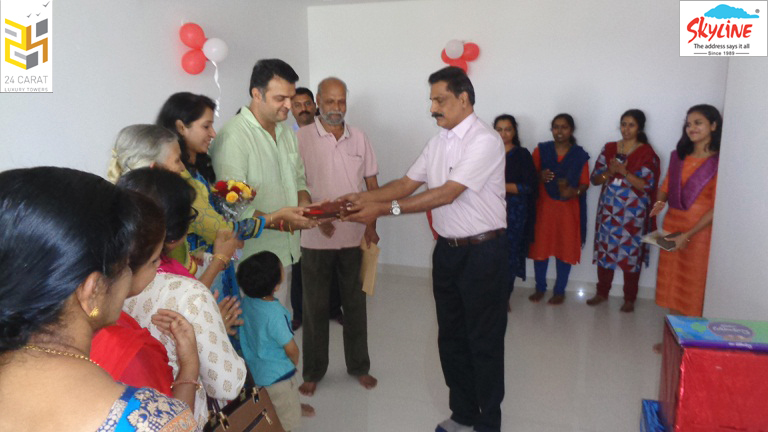 APT # 11B CAMBRIDGE handed over to Mr.Rakesh Paleri. Good Luck and best wishes!!! 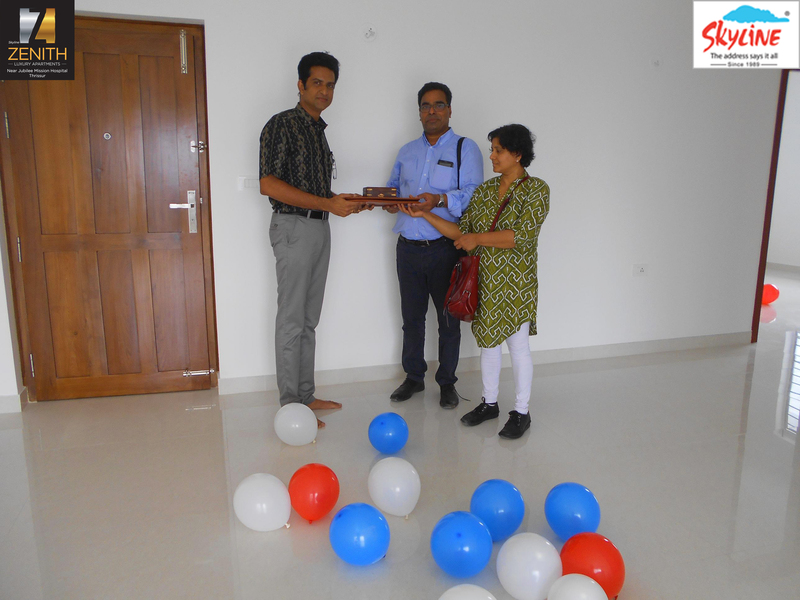 APT # 3C CAMBRIDGE handed over to Mr.Adersh Mustafa. Good Luck and best wishes!!! 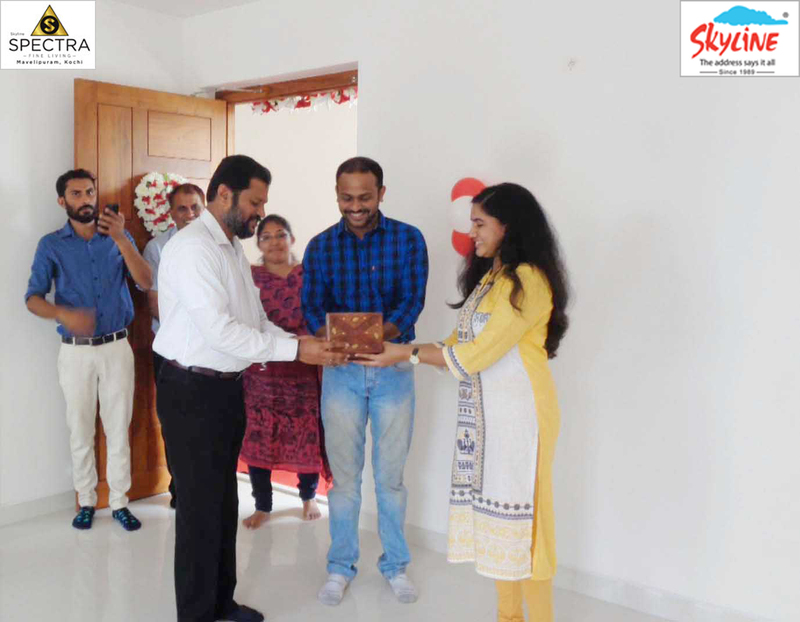 APT # 3F CAMBRIDGE handed over to Mr.Tom Cherian. Heartiest Congratulation!!! 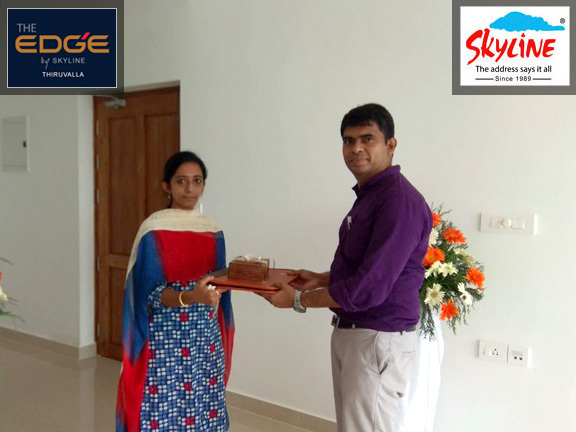 APT # 3A & B CAMBRIDGE handed over to Mrs.Srija Shibu. Heartiest Congratulation!!! 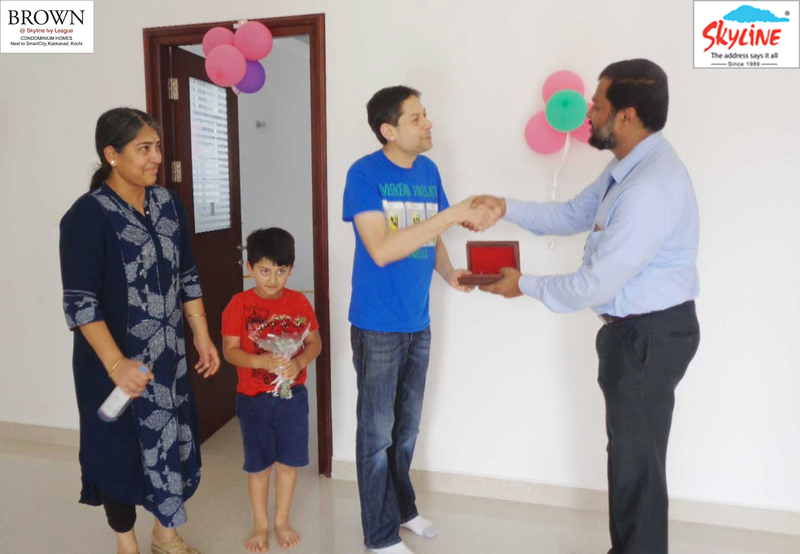 APT # 2B CAMBRIDGE handed over to Mr.Anil. K.Abraham. Heartiest Congratulation!!! 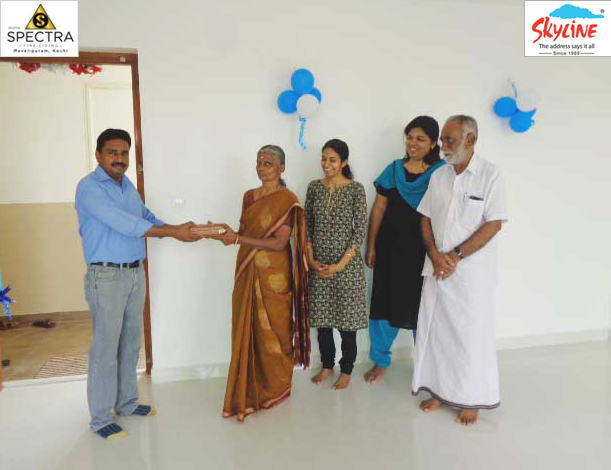 APT # 15D AQUA handed over to Mr.Pushpangathan Nair T.K. All the very best!!! 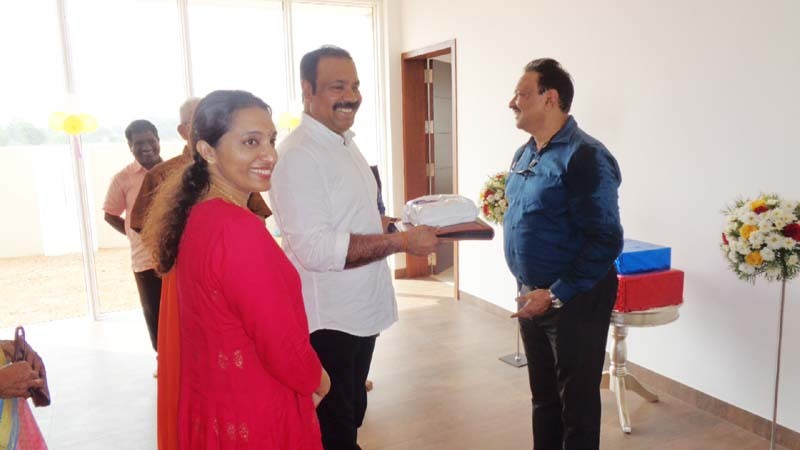 APT # 13C AQUA handed over to Mr.Biju Antony. Heartiest Congratulation!!! 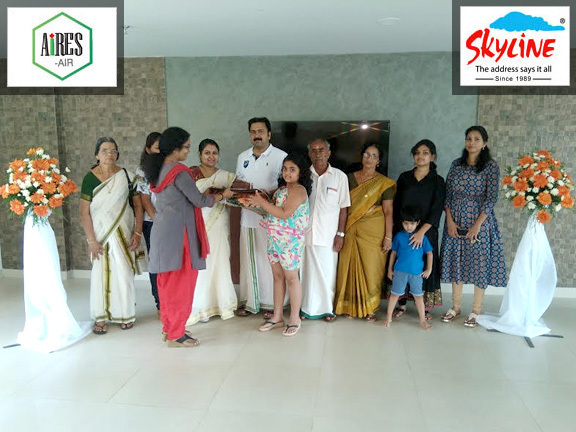 APT # 8B AIRES handed over to Mr.Pallathara Ramachandran Pillai Sivaprassad & Mrs.Remya Syamala. All the very best!! !